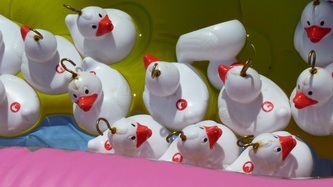 A Truly Spectacular Event !!!! 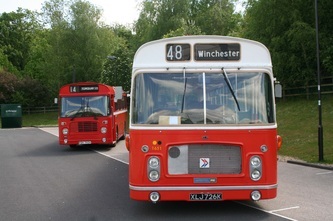 Nearly two thousand enthusiasts, families and tourists visited this truly remarkable event in Winchester on Bank Holiday Monday. 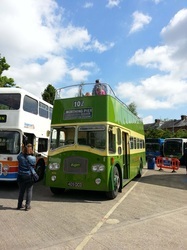 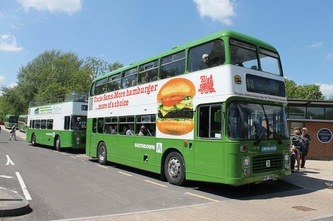 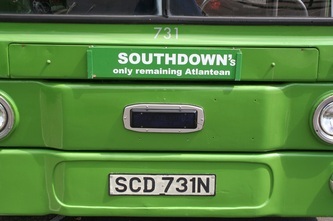 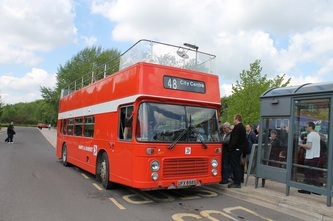 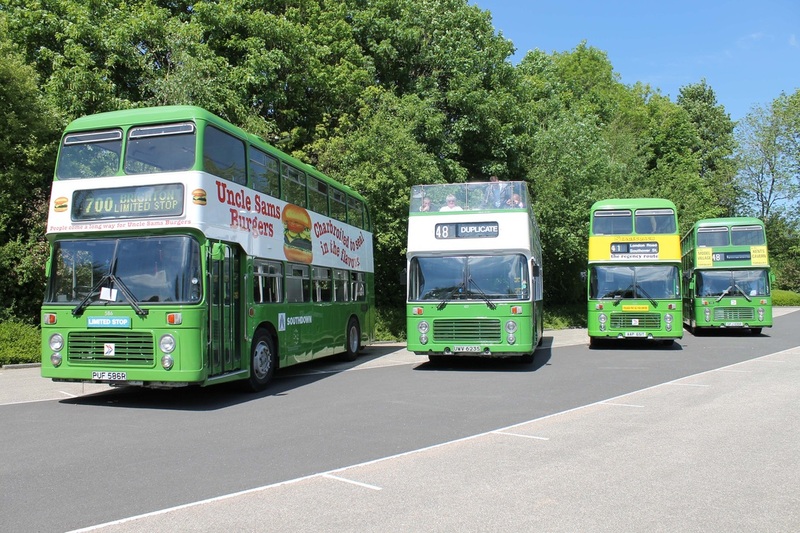 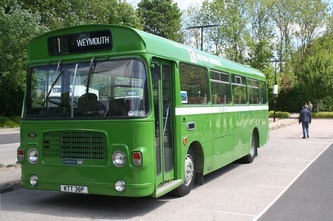 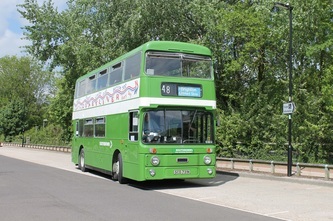 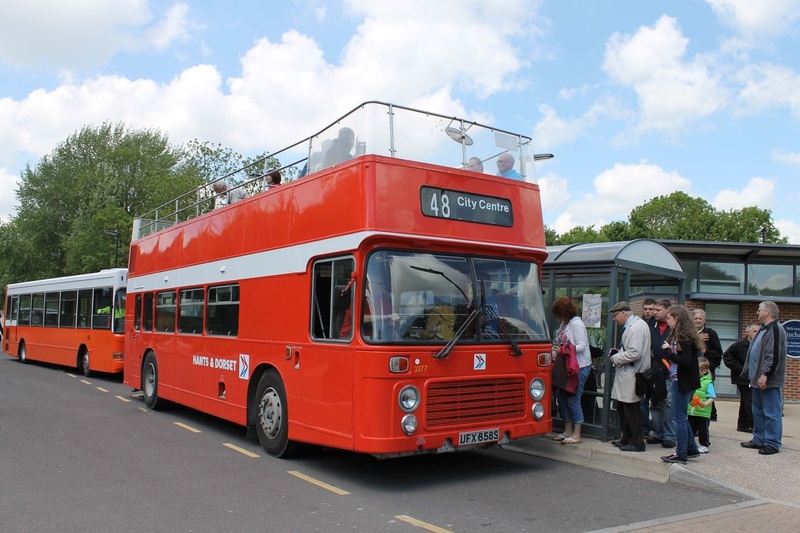 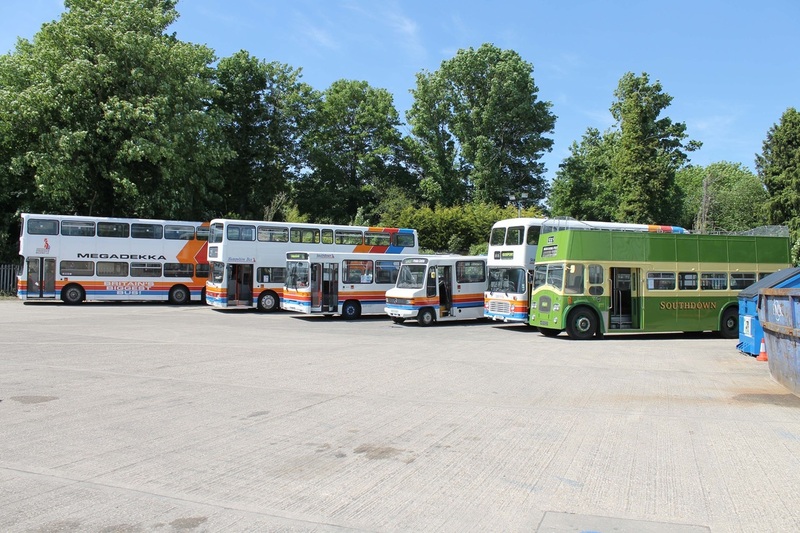 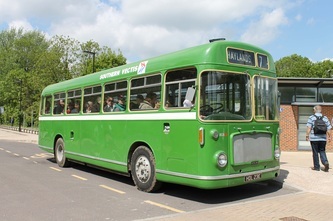 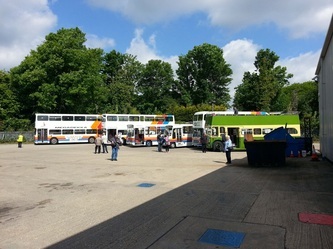 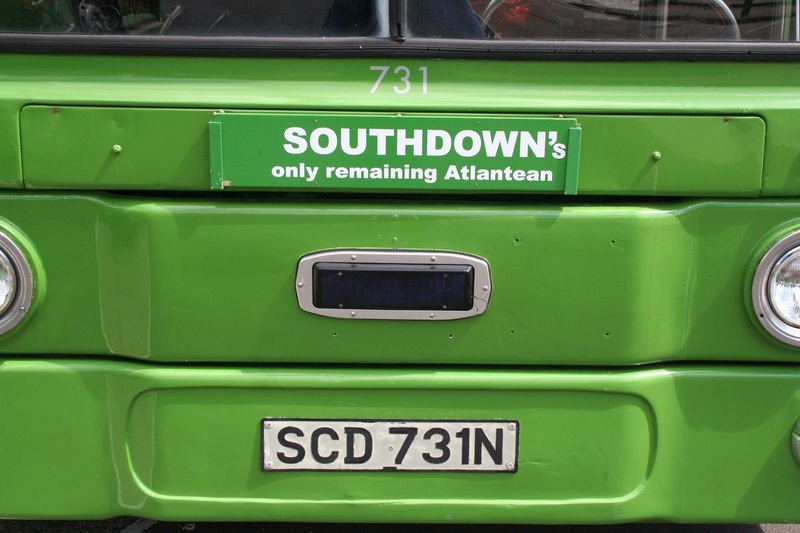 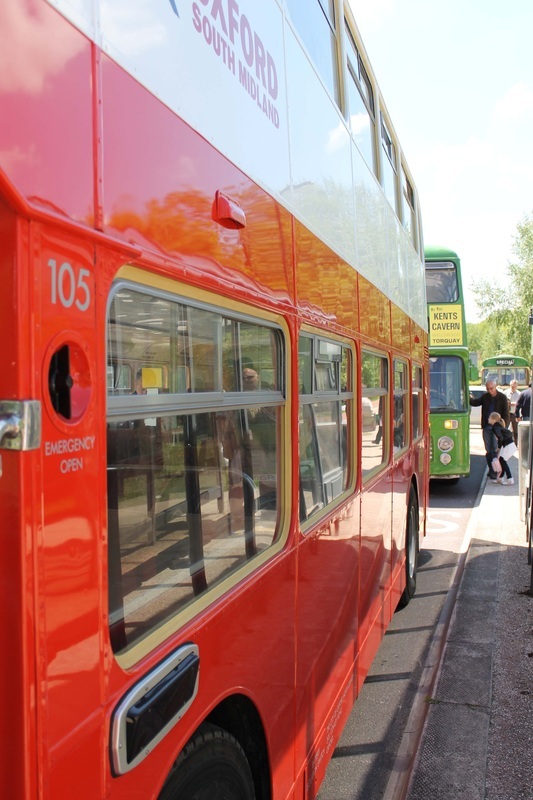 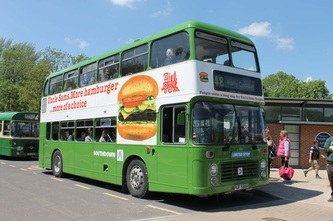 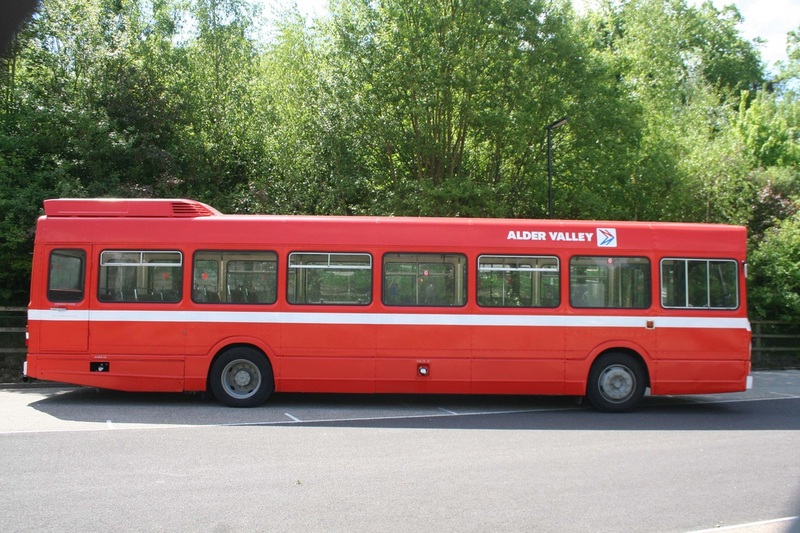 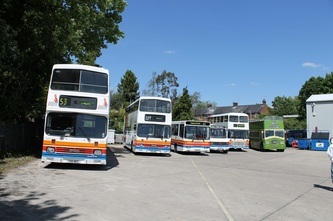 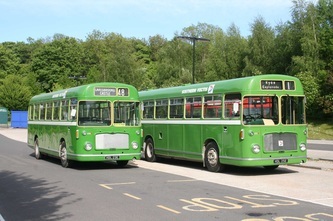 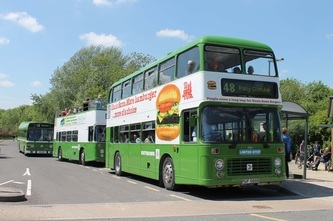 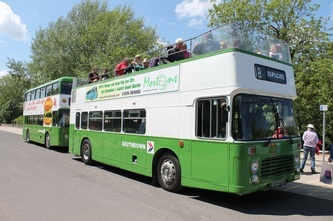 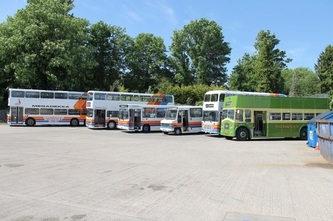 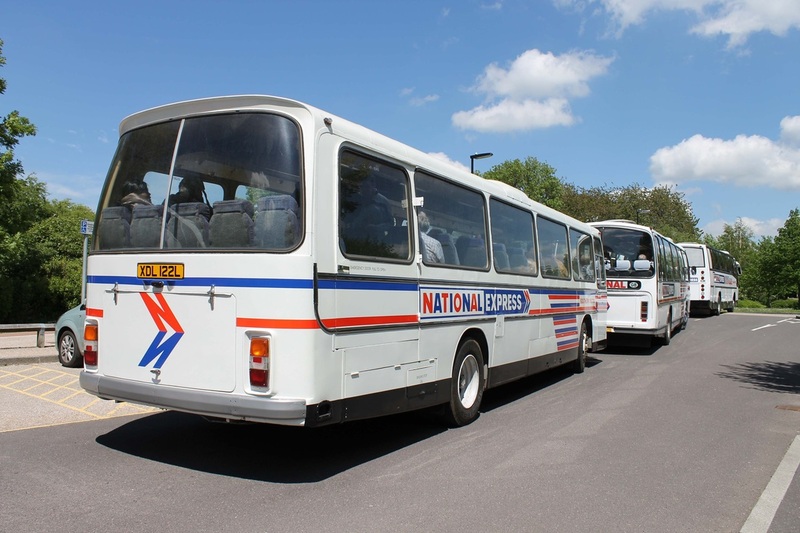 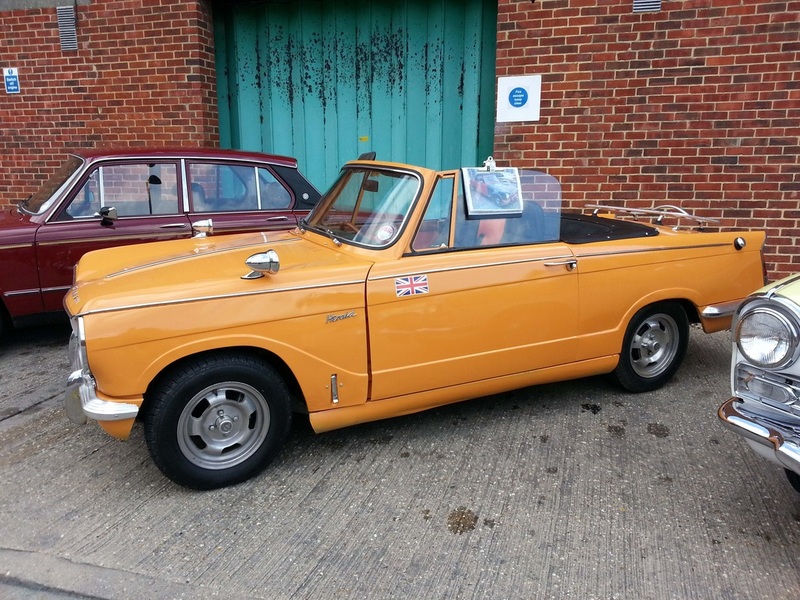 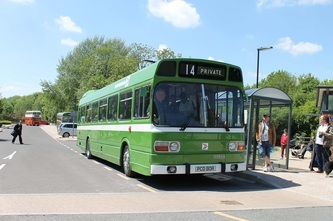 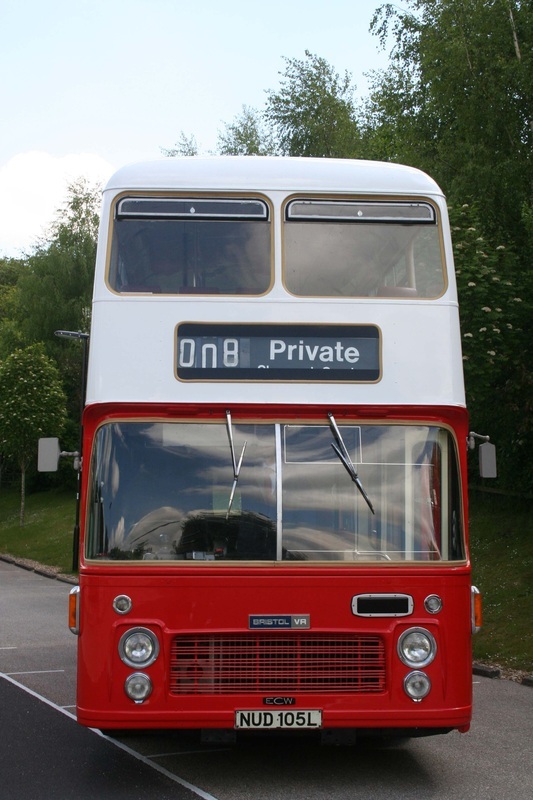 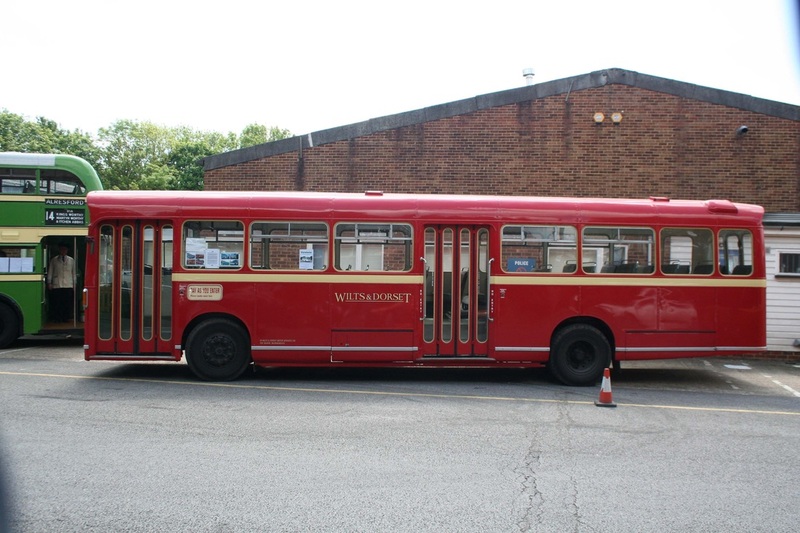 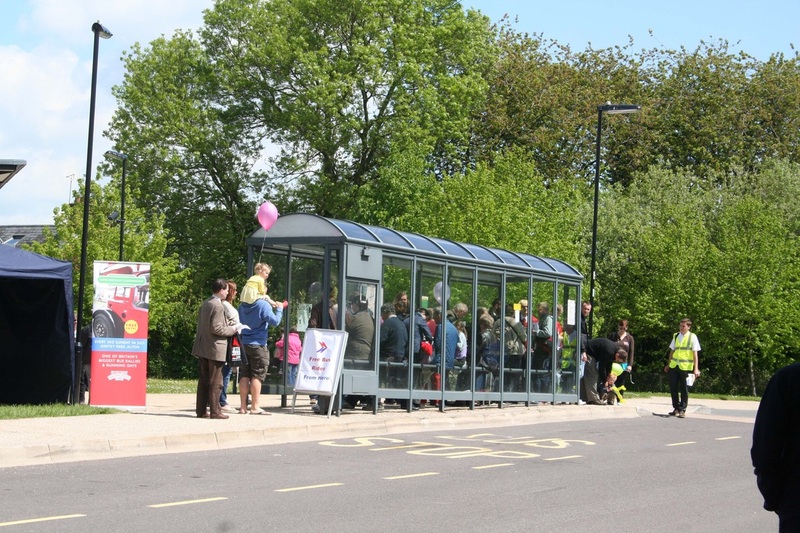 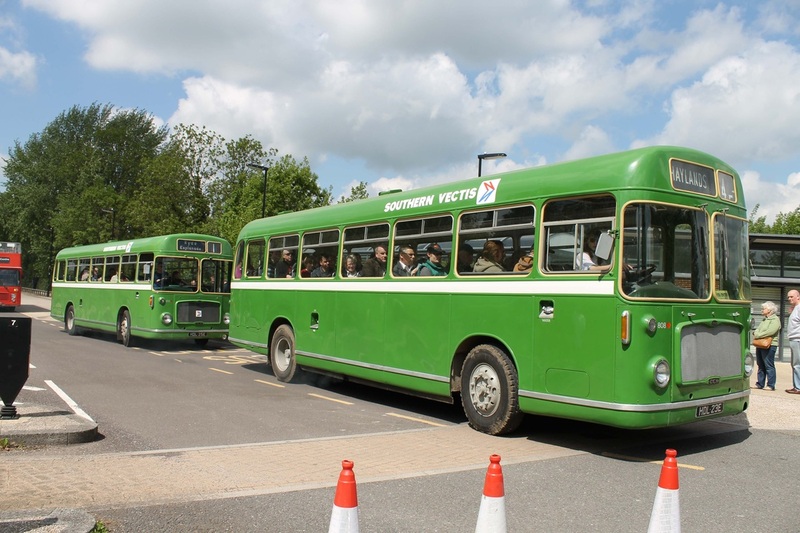 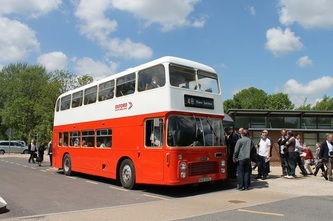 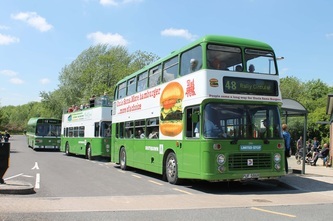 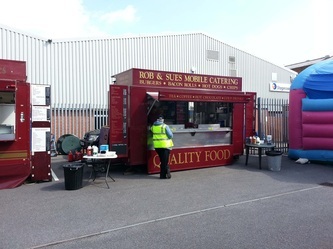 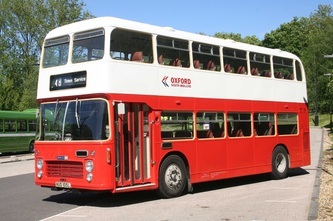 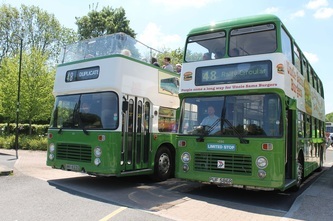 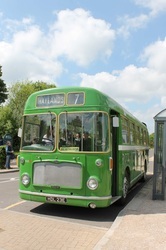 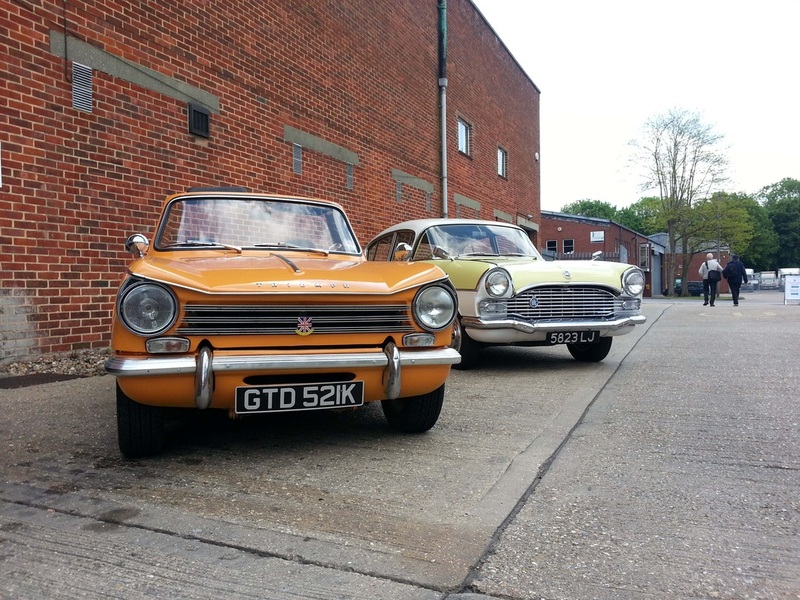 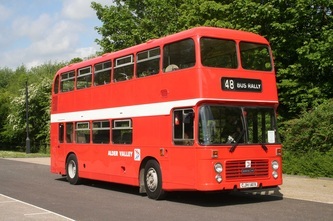 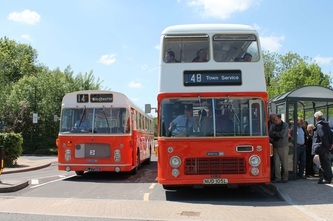 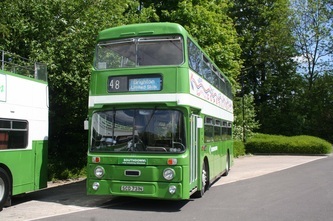 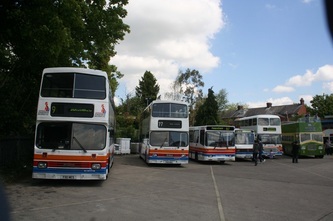 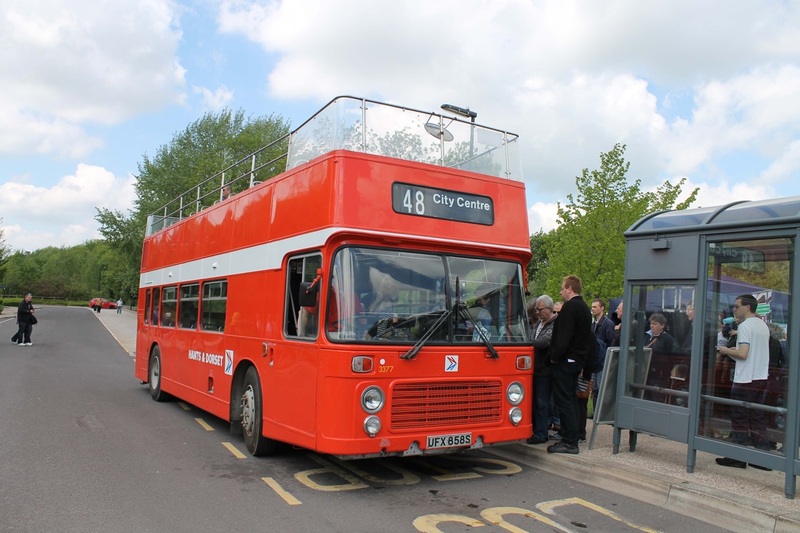 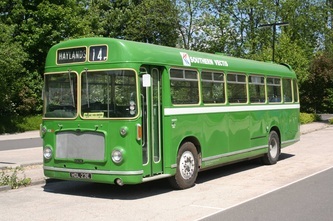 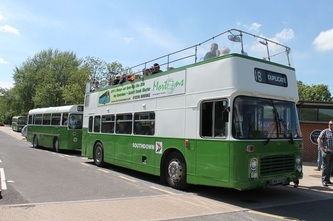 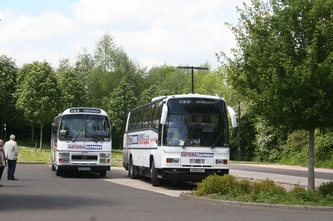 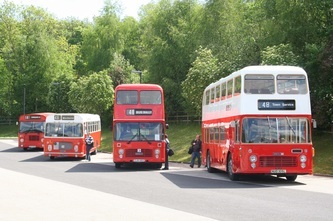 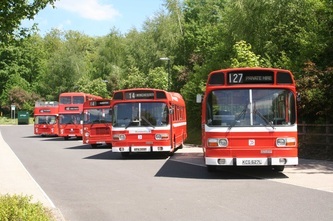 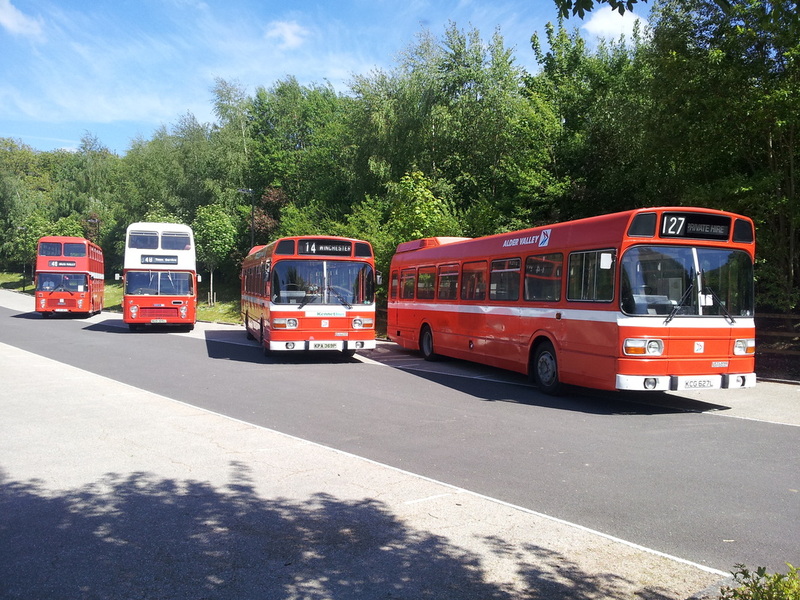 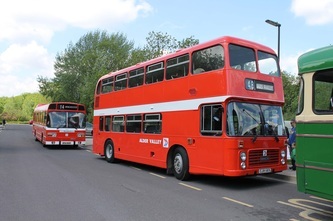 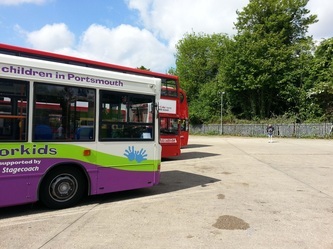 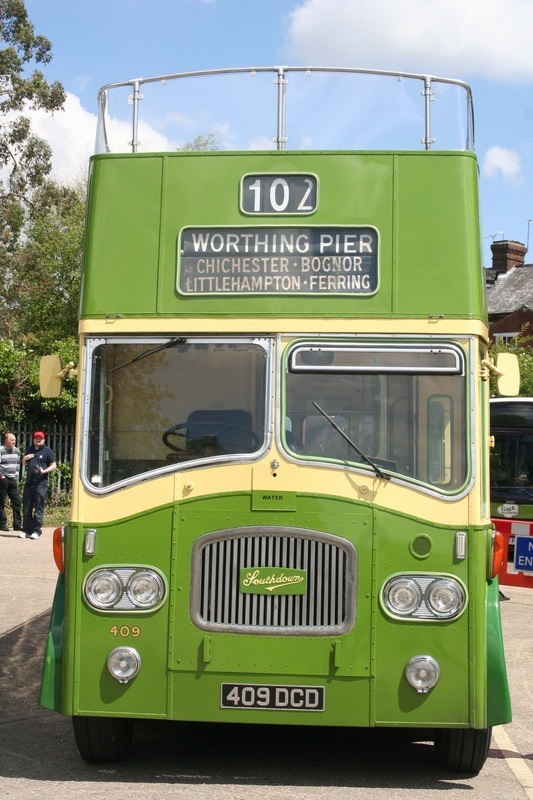 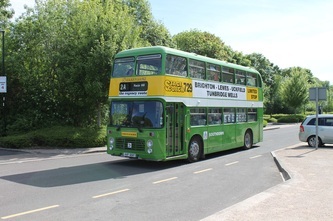 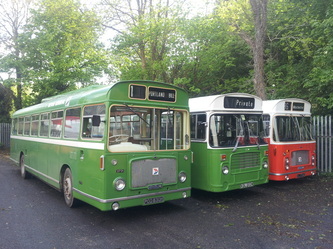 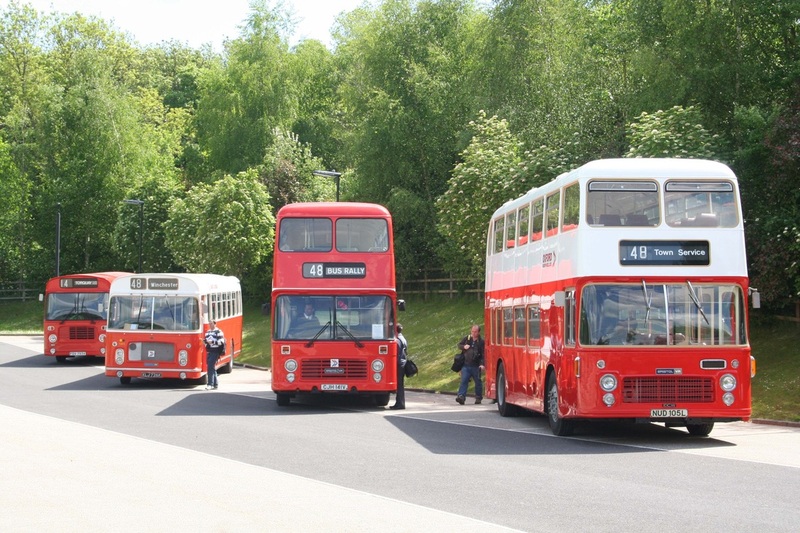 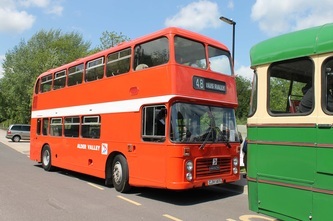 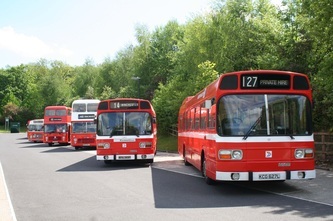 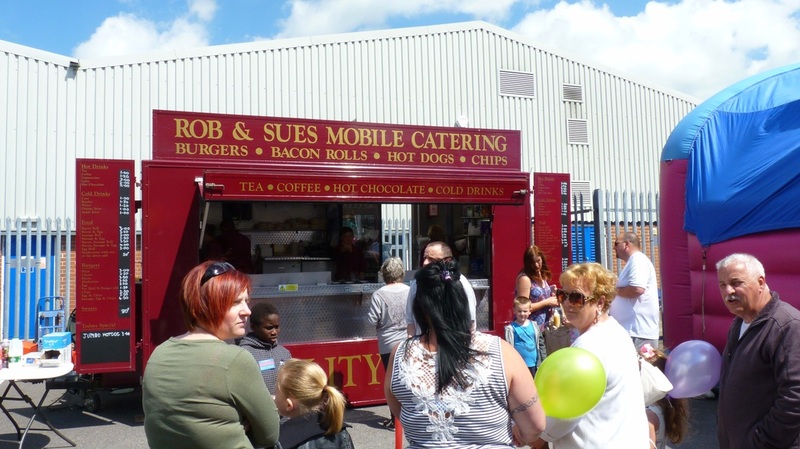 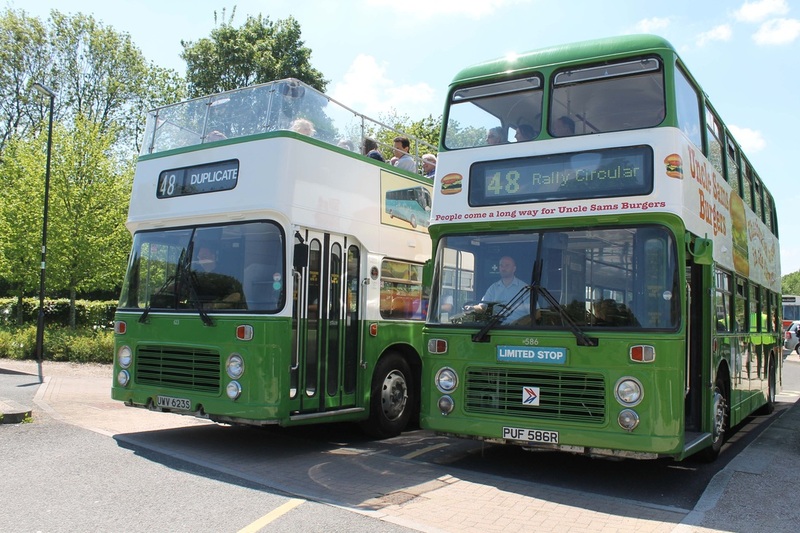 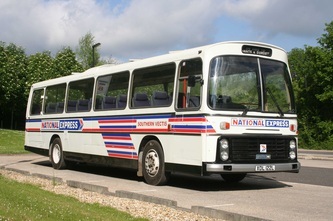 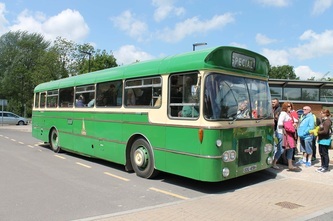 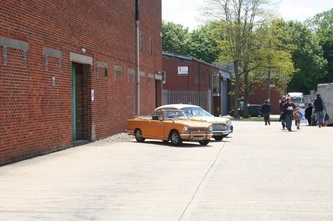 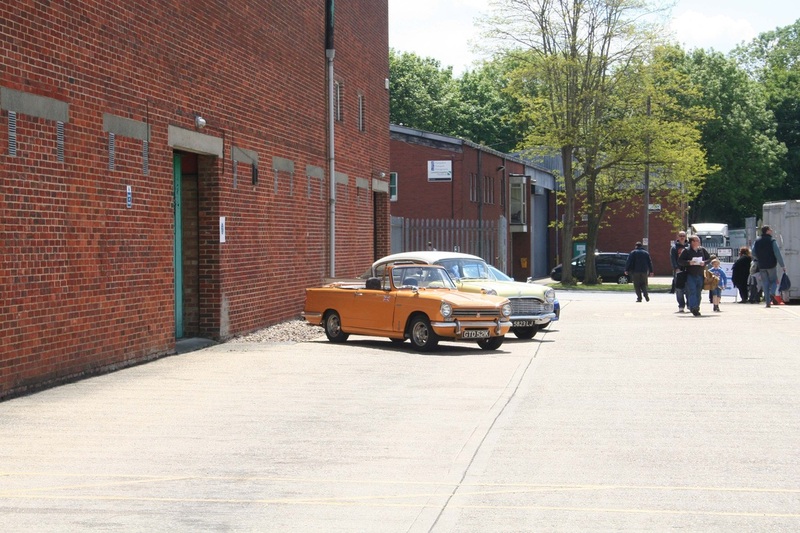 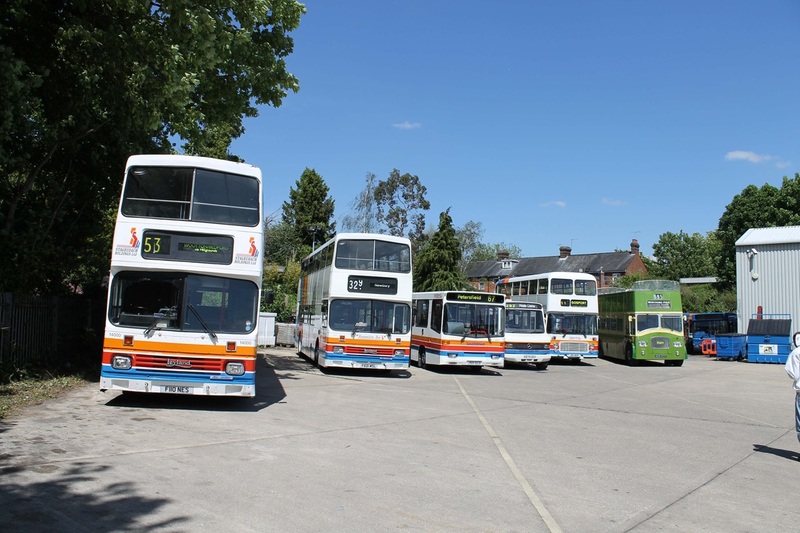 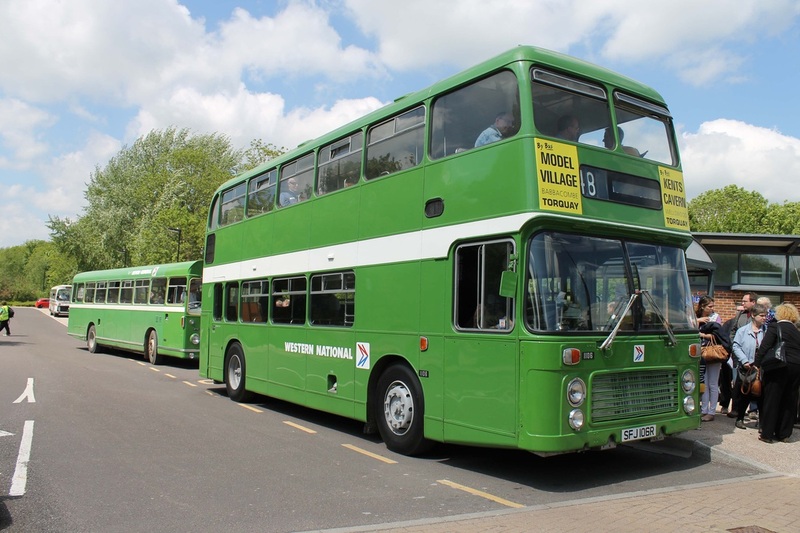 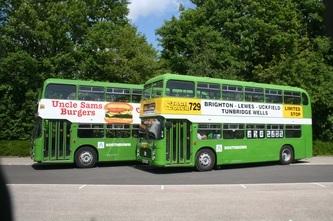 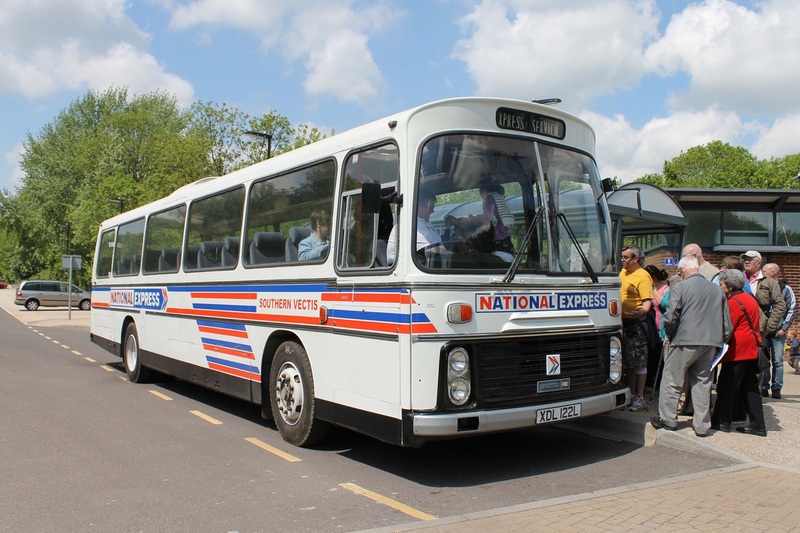 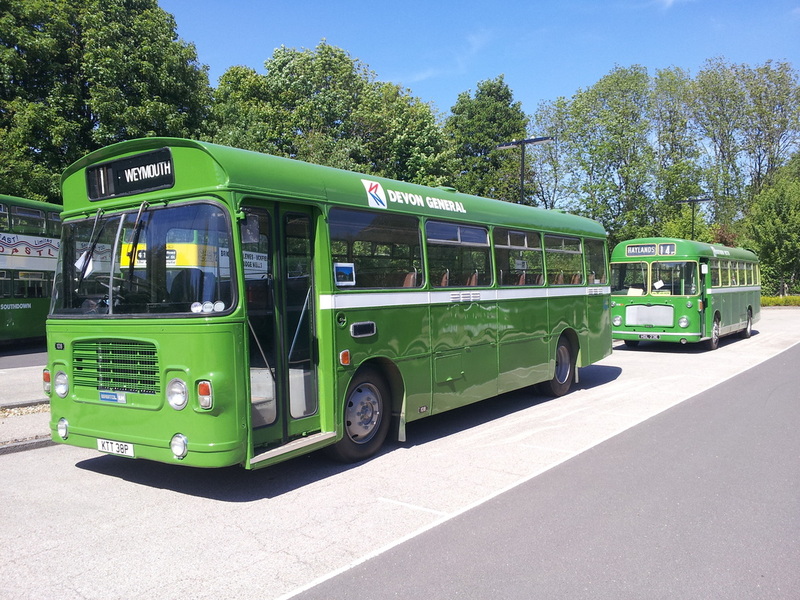 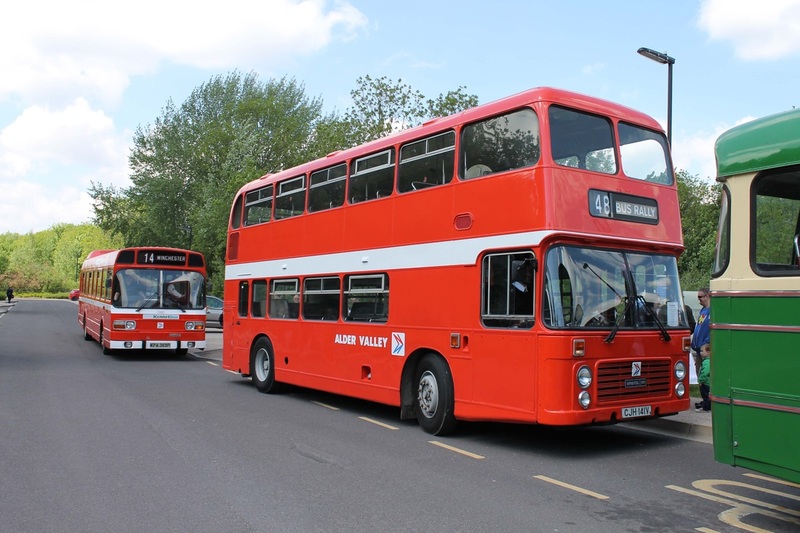 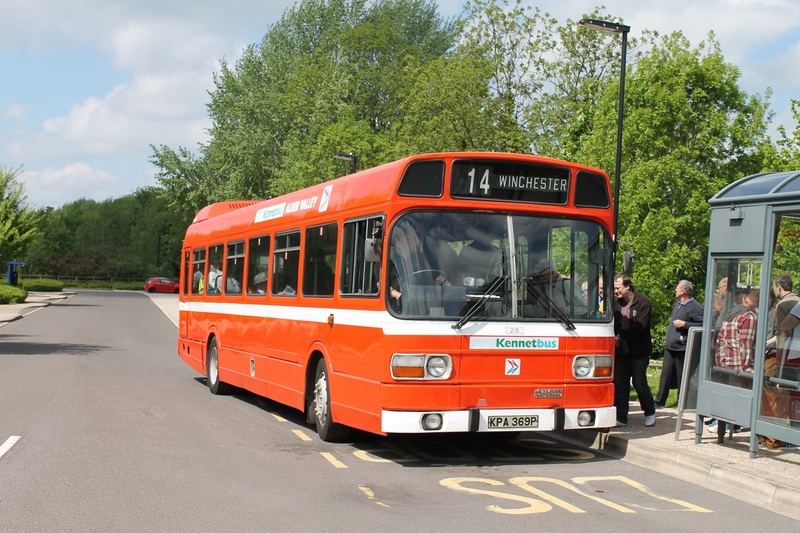 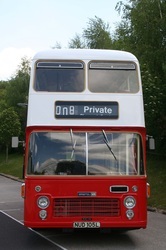 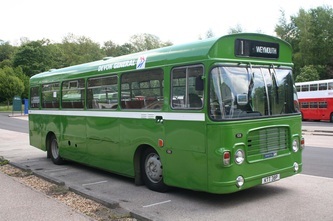 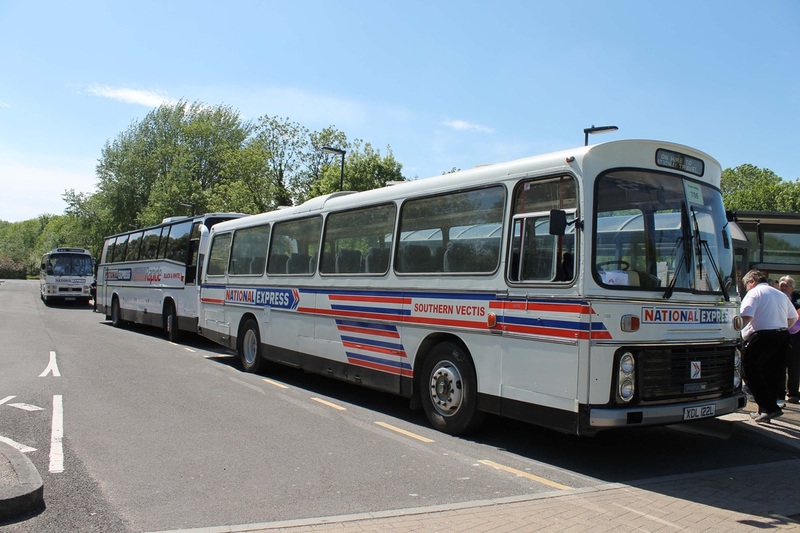 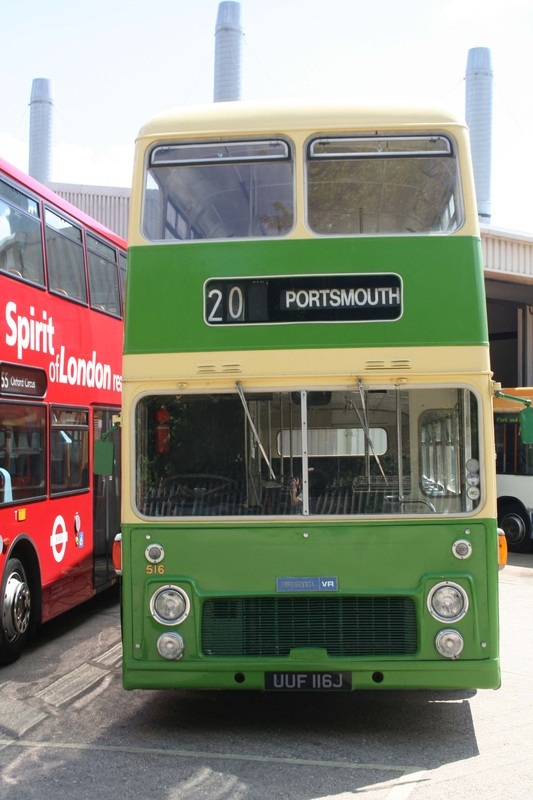 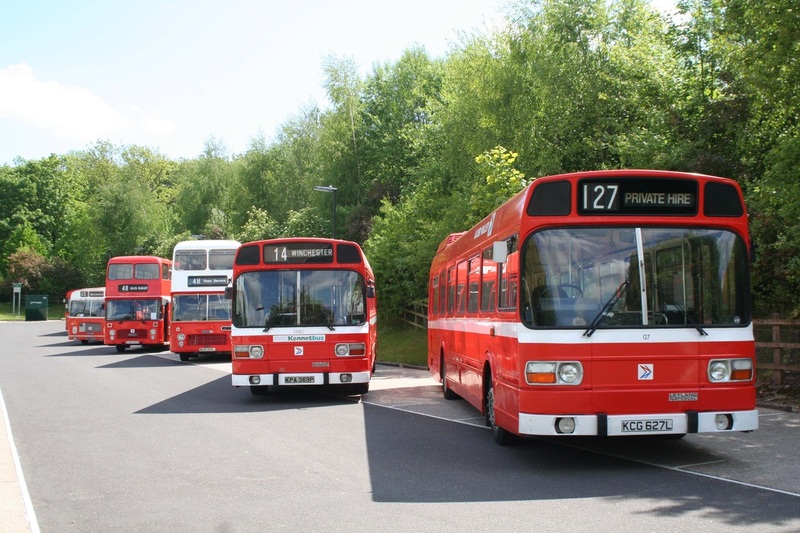 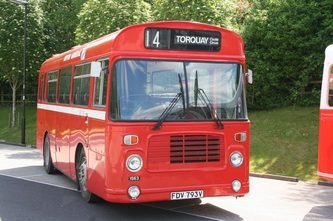 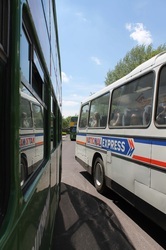 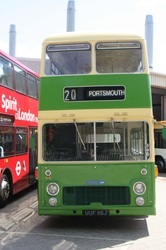 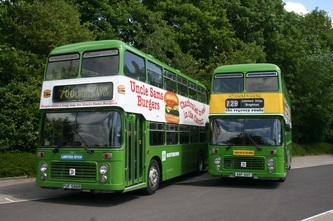 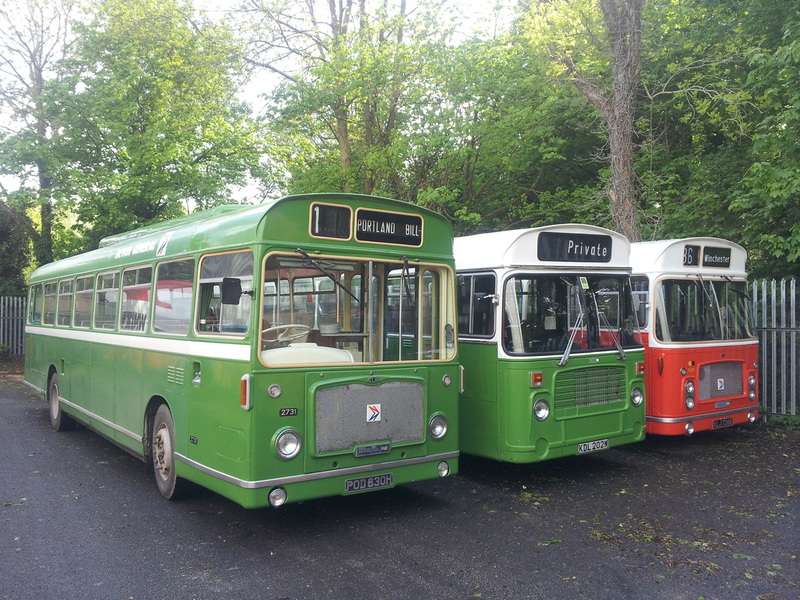 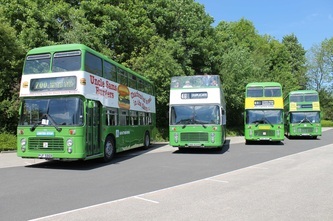 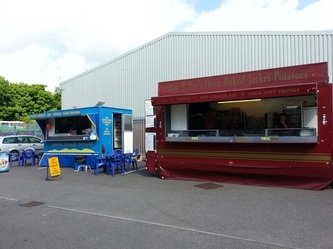 Although some entries were unable to attend, a memorable and enjoyable day was had by all as a fleet of preserved NBC liveried vehicles were displayed and provided free rides. 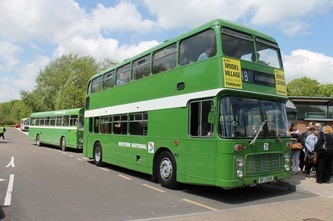 Bristol VRT's, Leyland Nationals, Bristol RE's & LH's plus Leyland Leopard, Tiger and Atlantean gave the enthusiasts a great selection and difficult choices on which to ride on first. 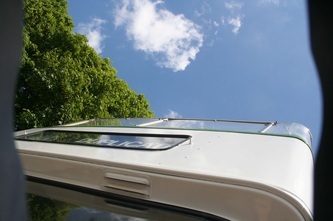 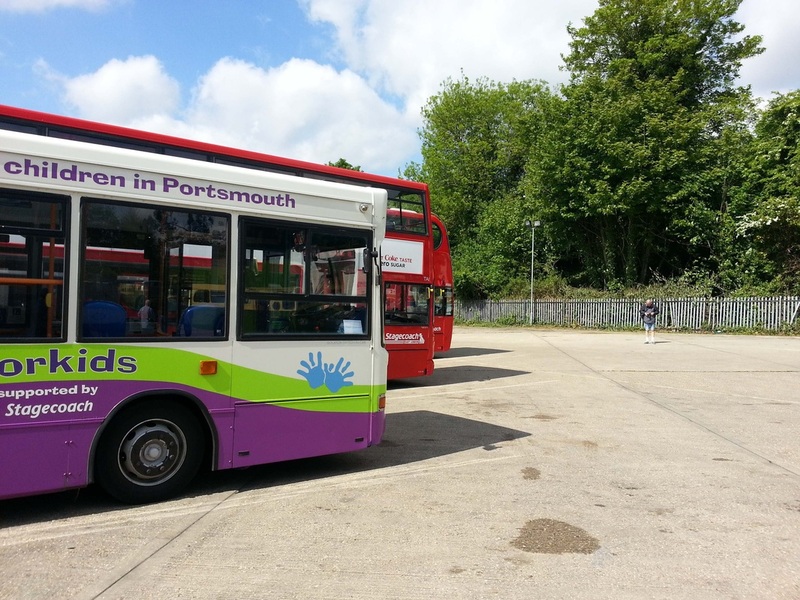 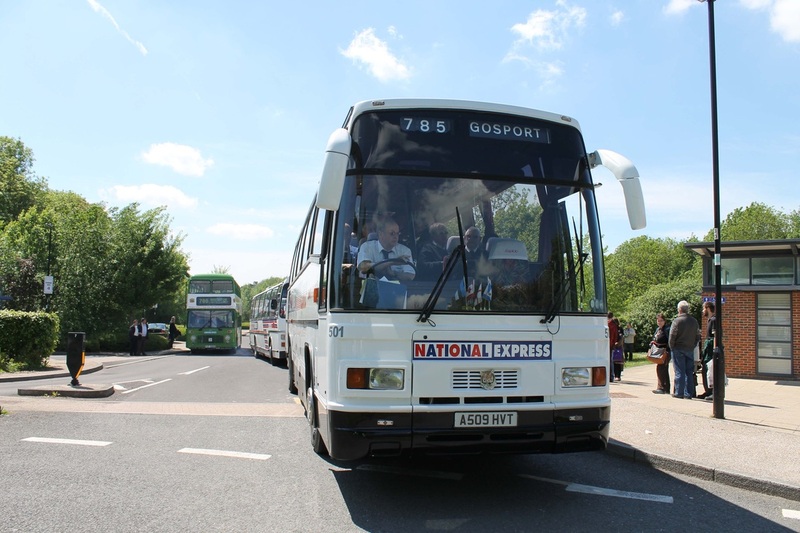 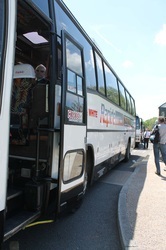 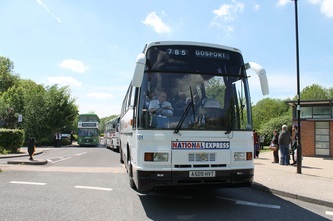 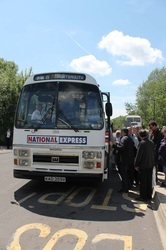 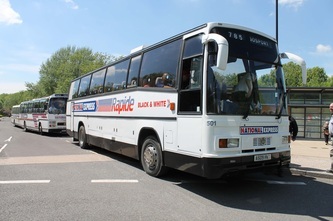 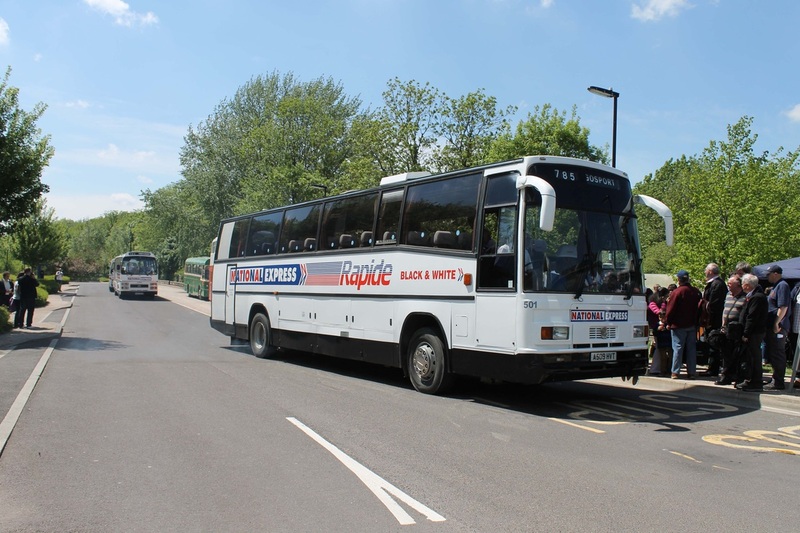 One of the main highlights of the day was the 1415 National Express departure to Southampton. 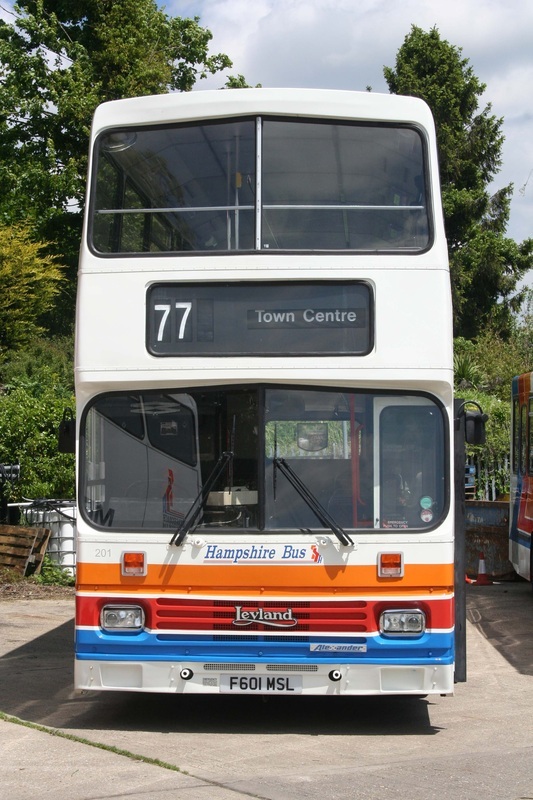 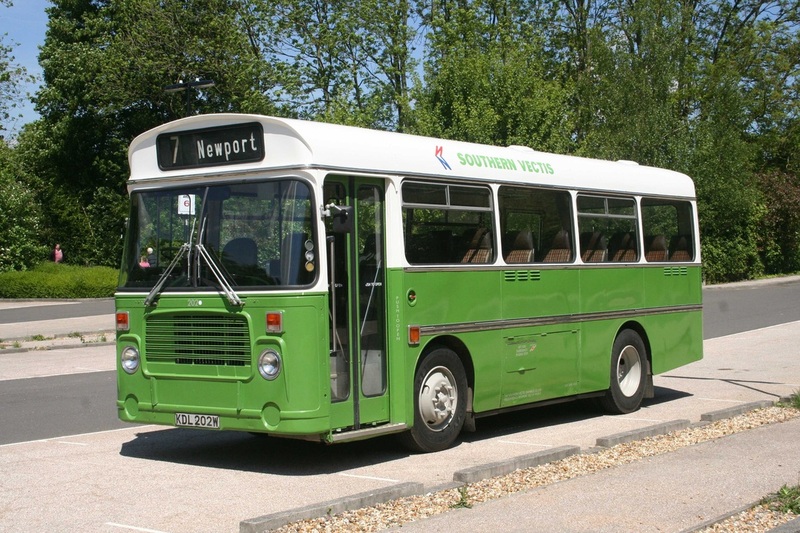 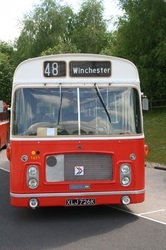 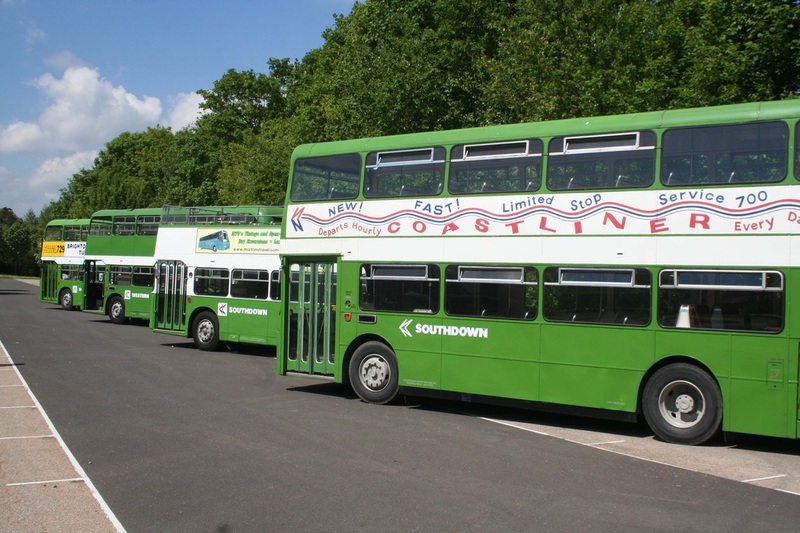 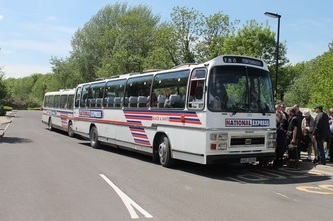 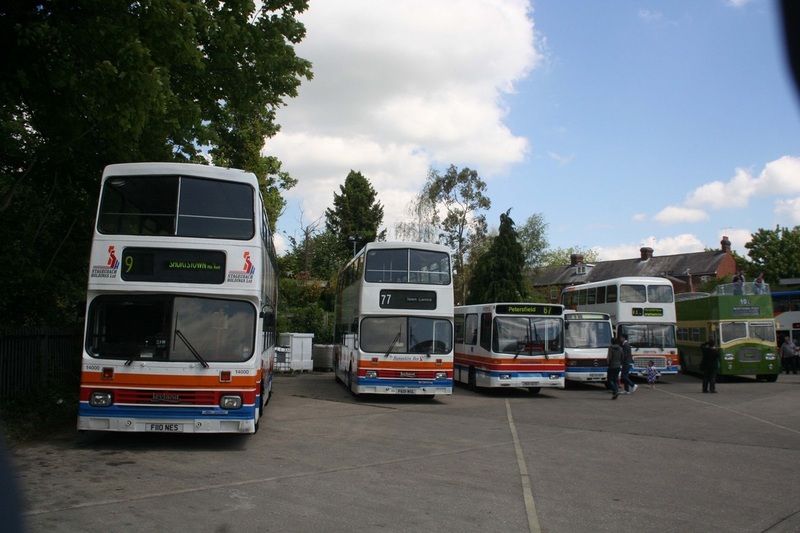 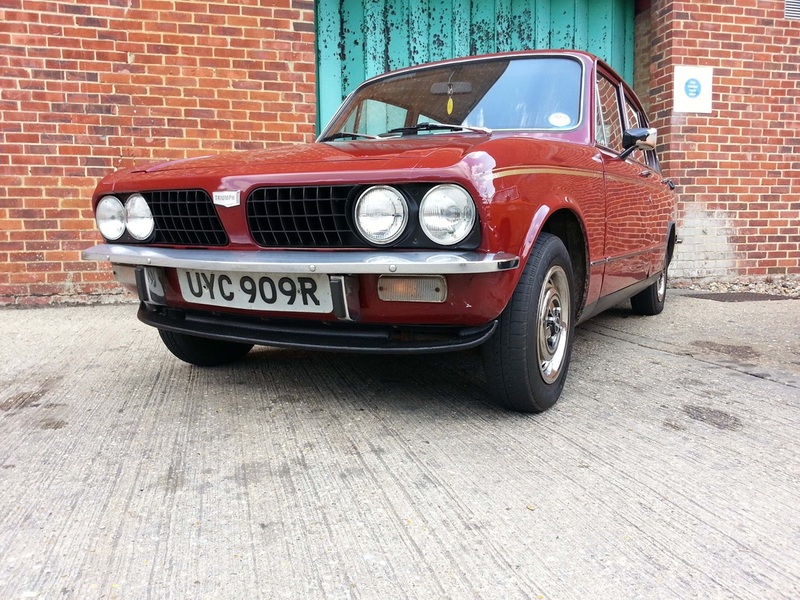 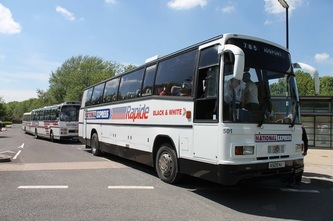 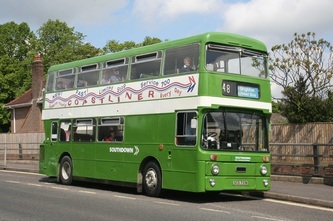 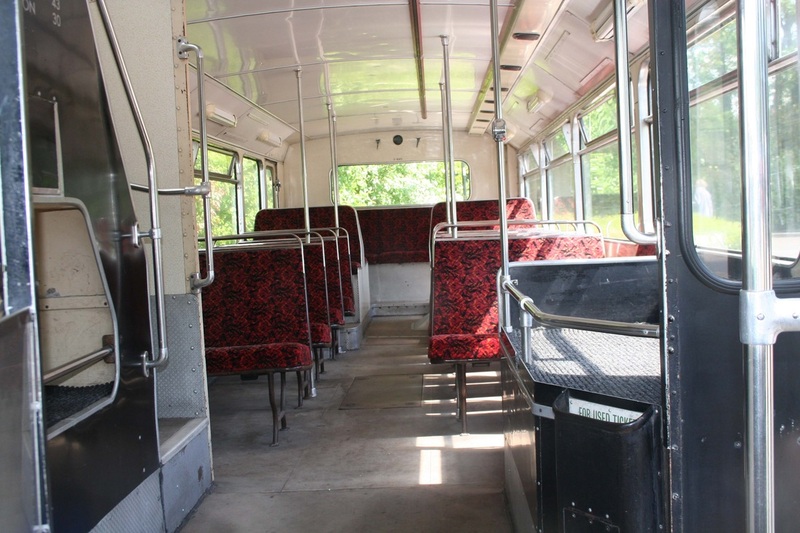 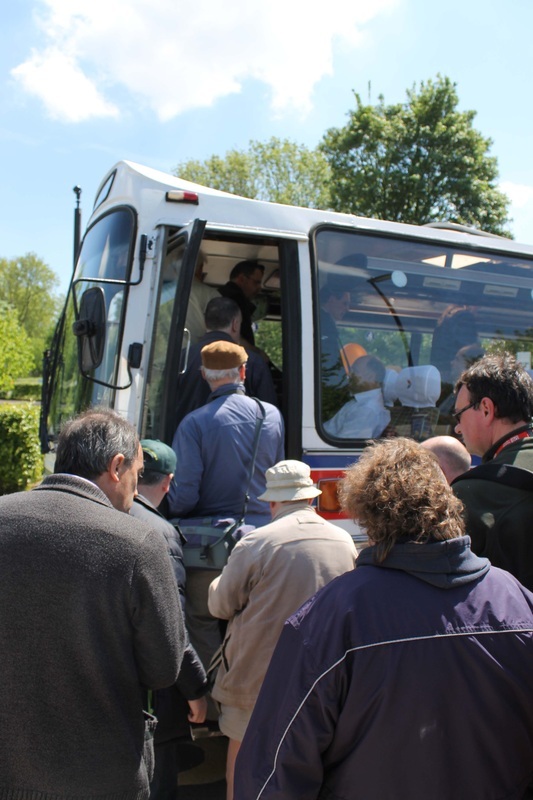 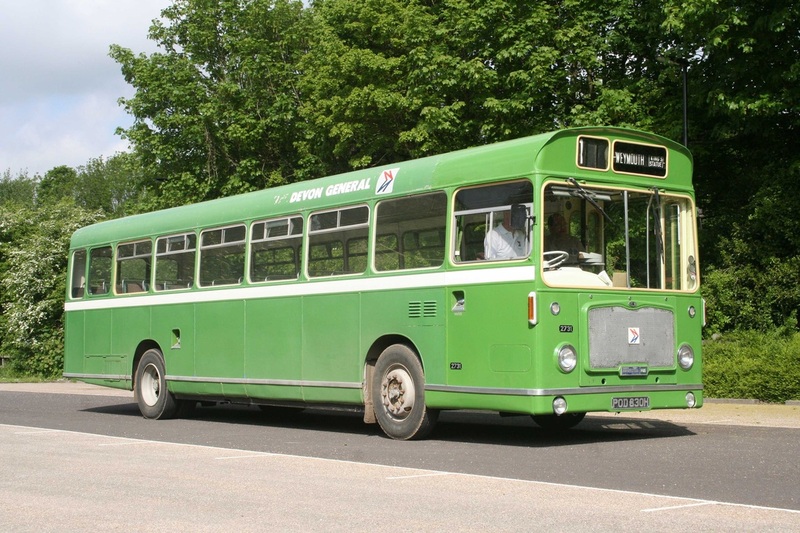 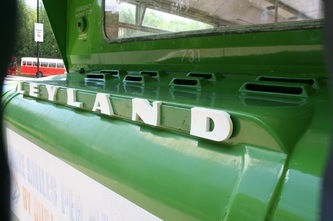 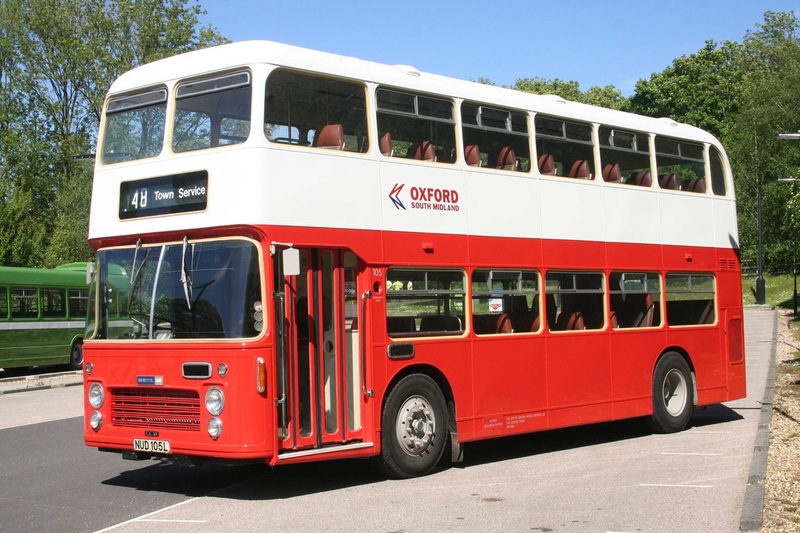 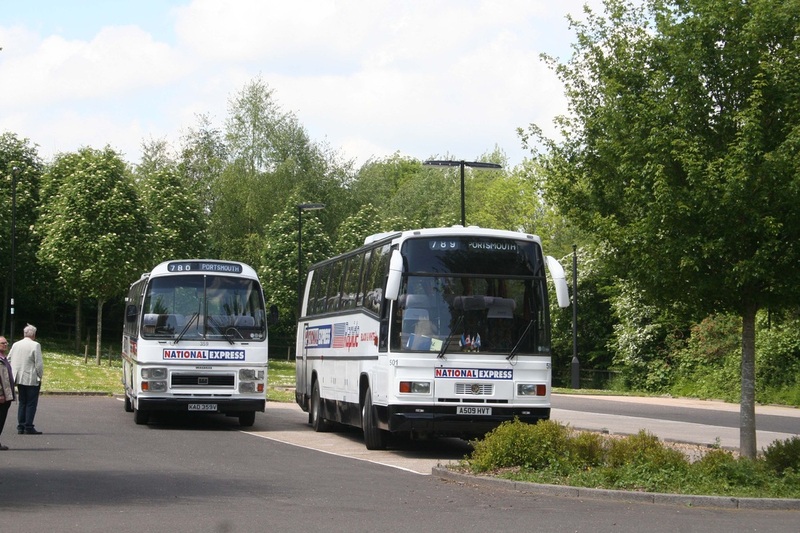 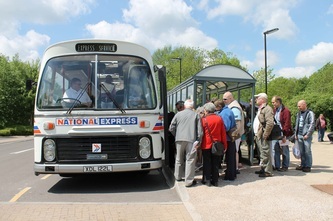 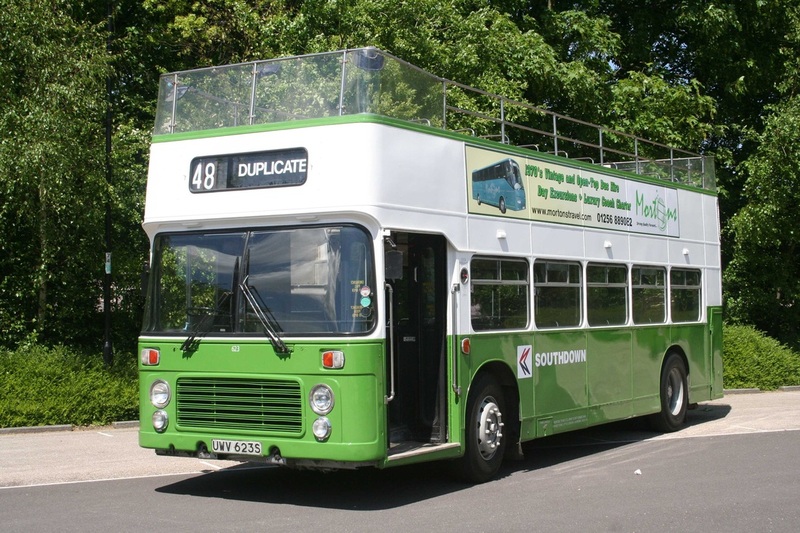 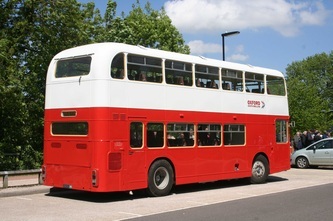 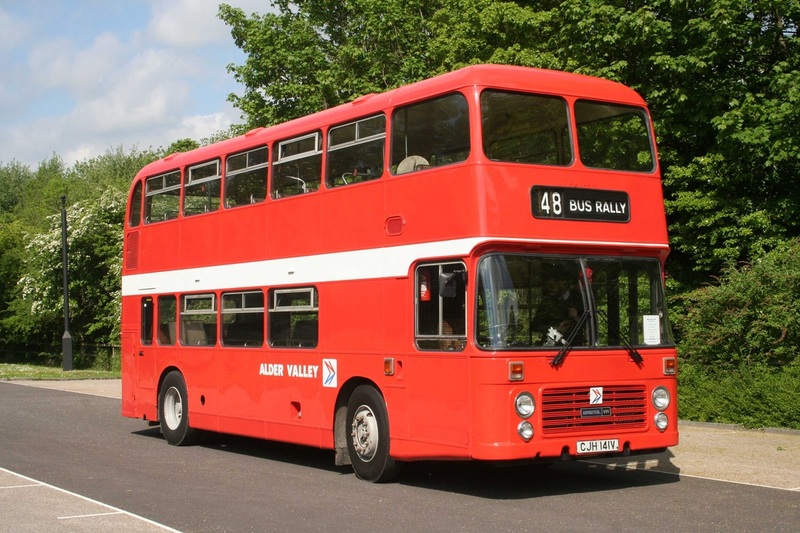 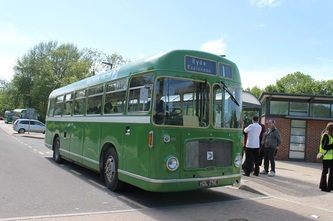 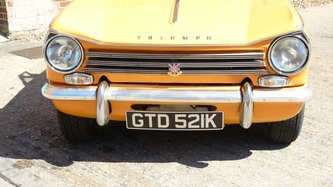 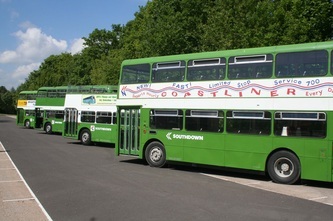 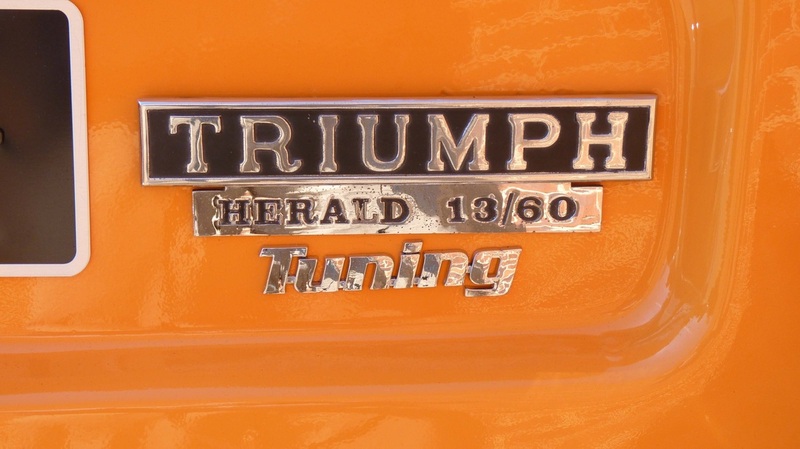 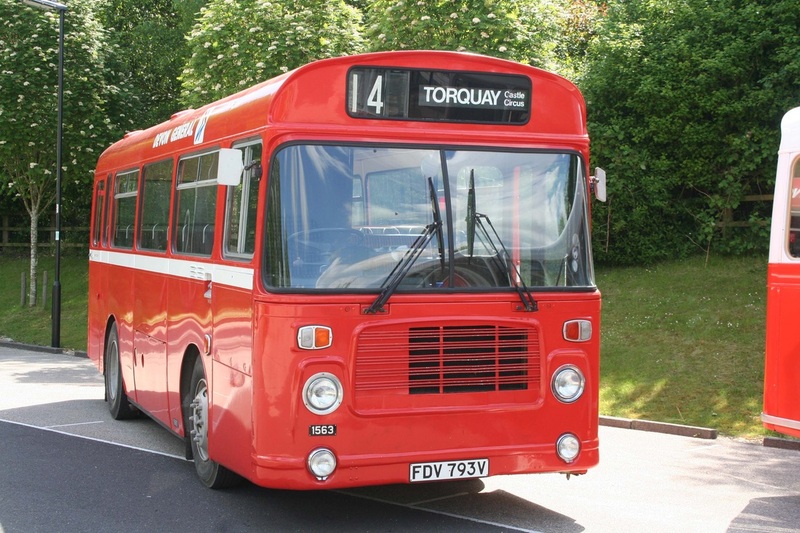 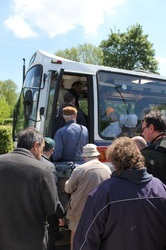 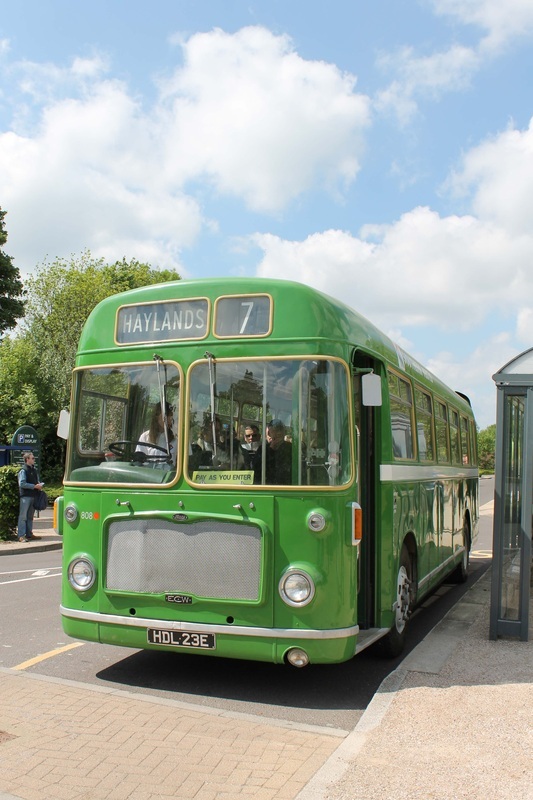 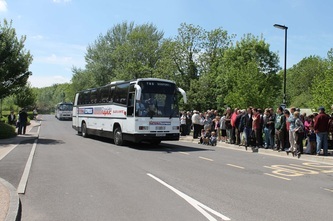 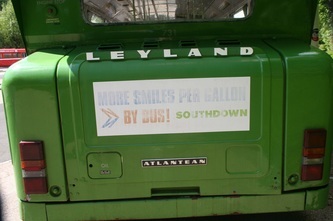 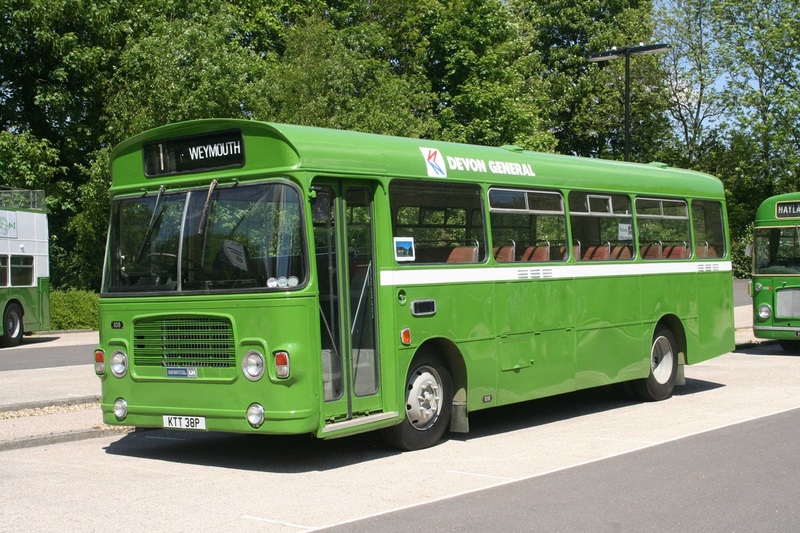 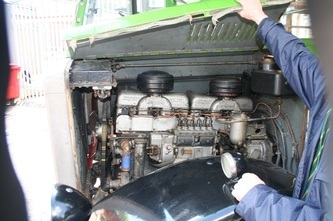 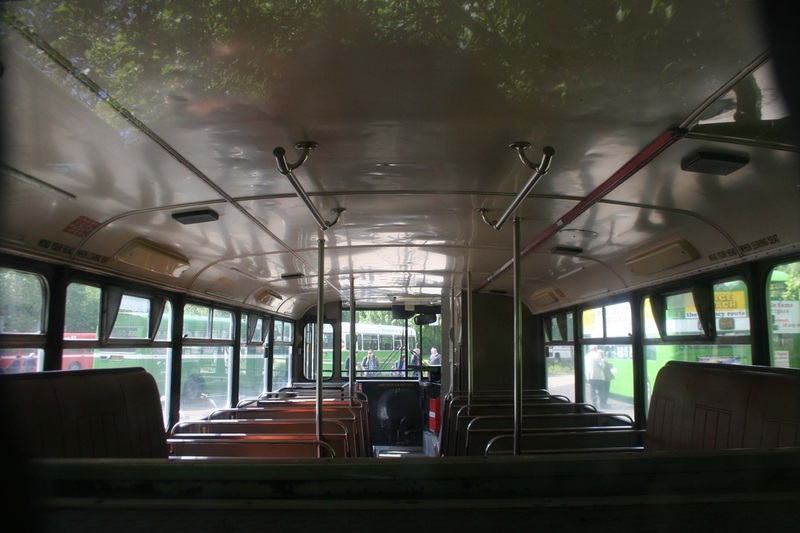 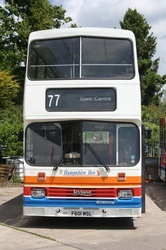 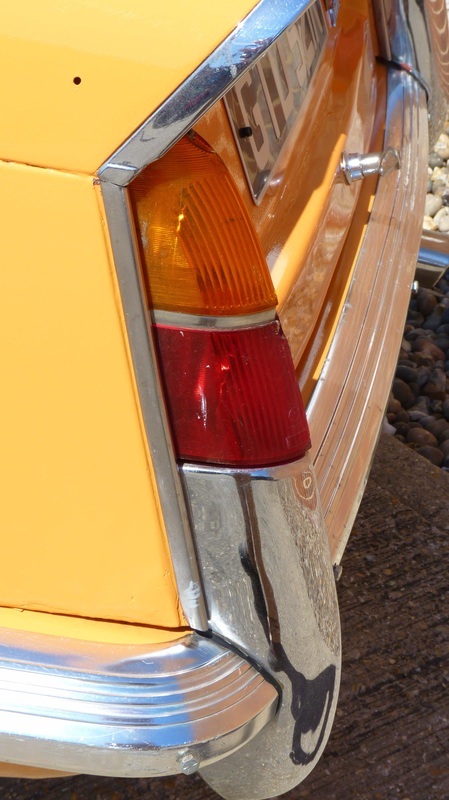 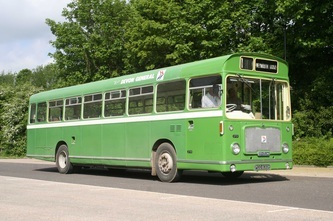 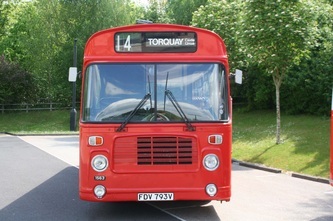 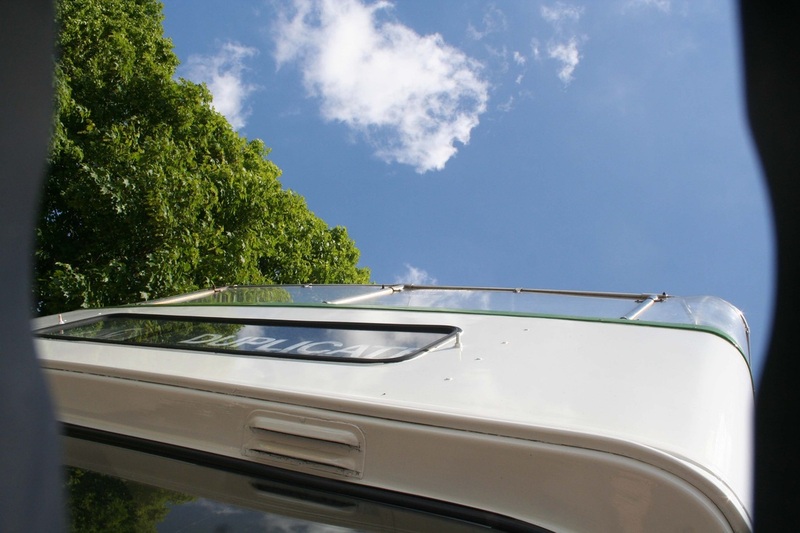 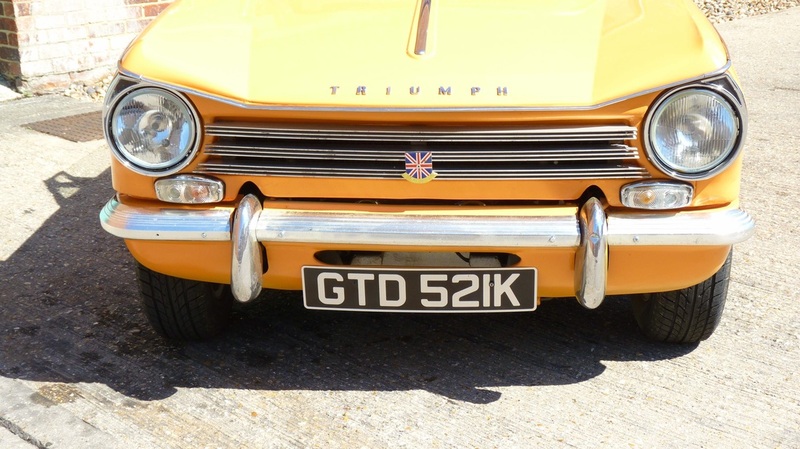 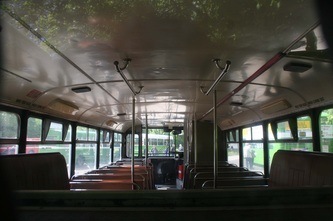 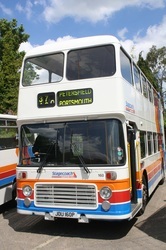 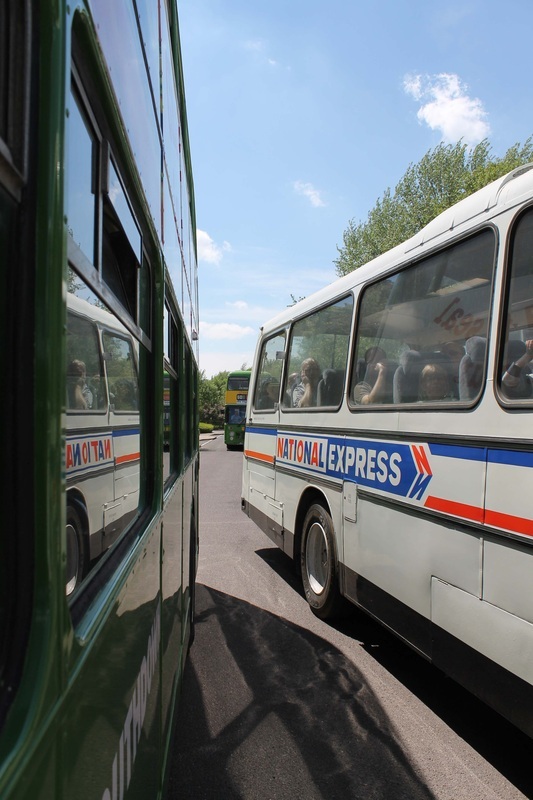 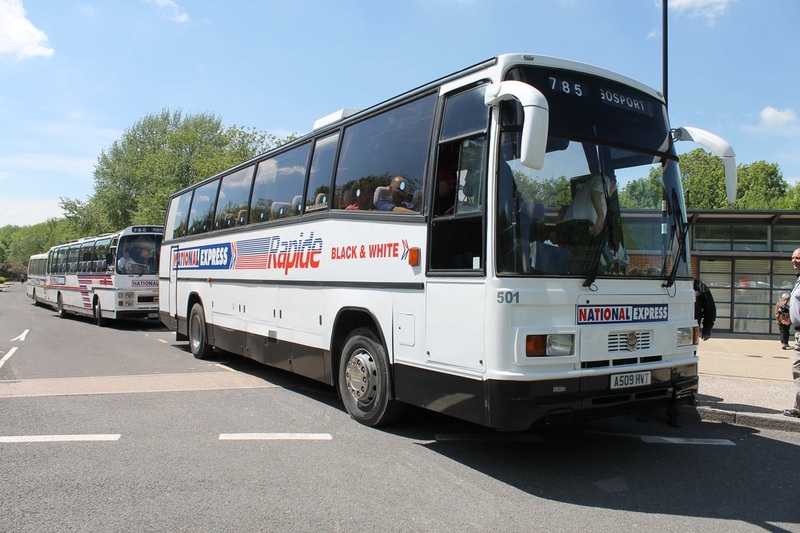 A Bristol RE, Leyland Tiger and Leopard left in convoy with 150 passengers between them. 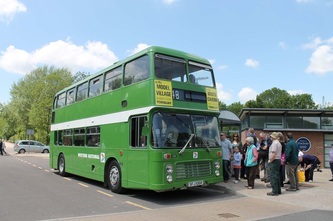 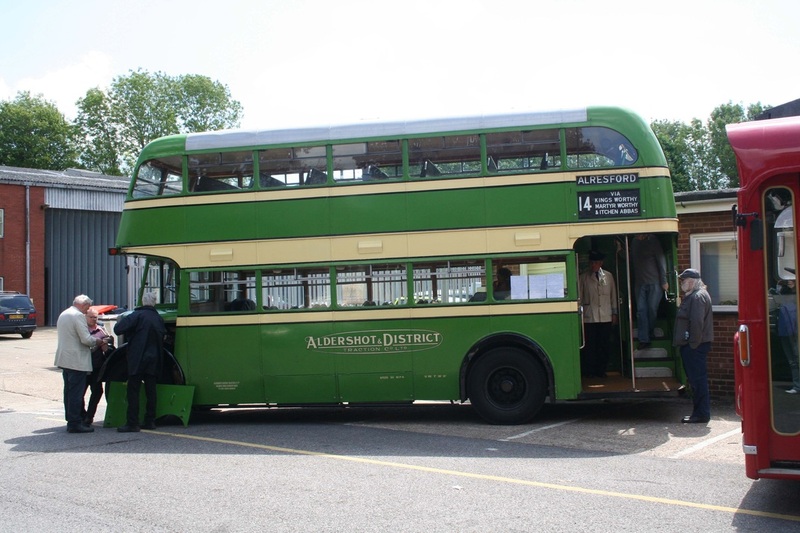 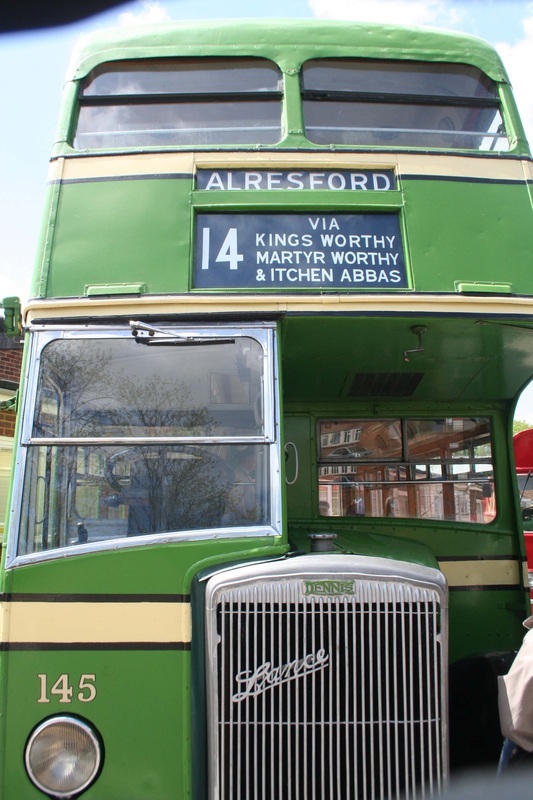 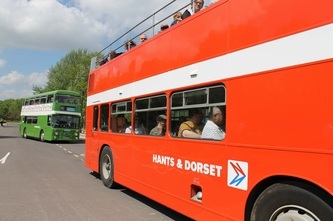 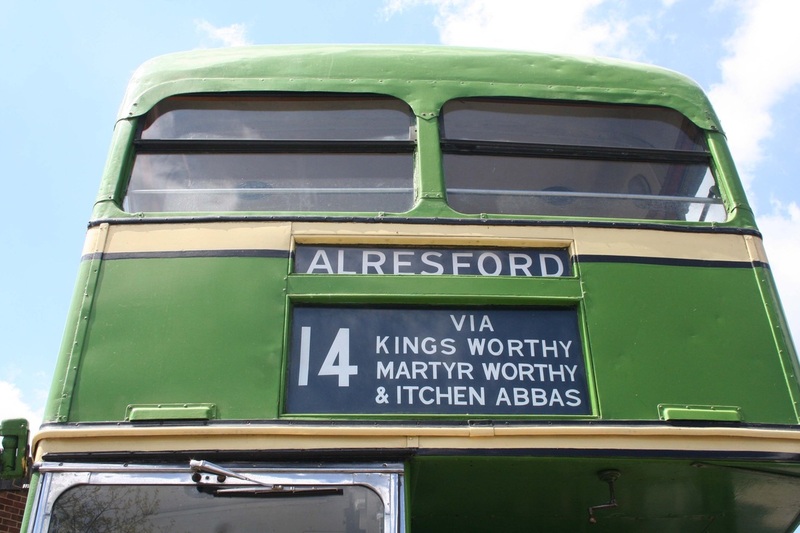 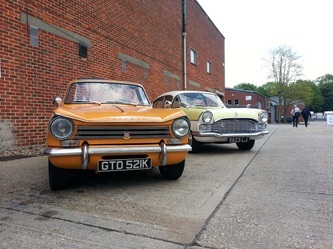 Other highlights included two 'fish faced' Bristol RE's operating a service to Alresford together, plus open top rides given by Bristol VRT's UFX858S & UWV623S owned by the Wilts & Dorset/Hants & Dorset Group and Mortons Travel respectively. 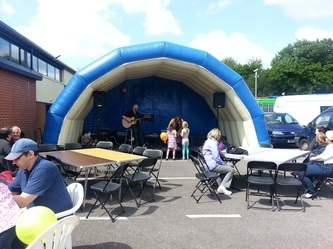 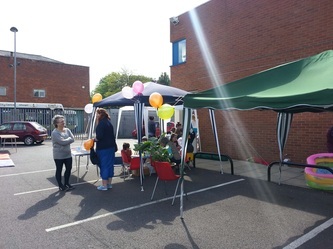 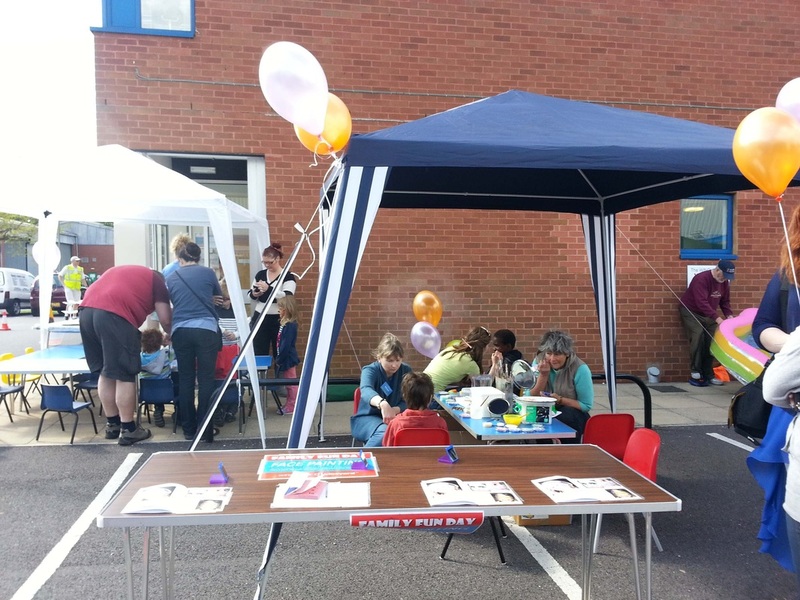 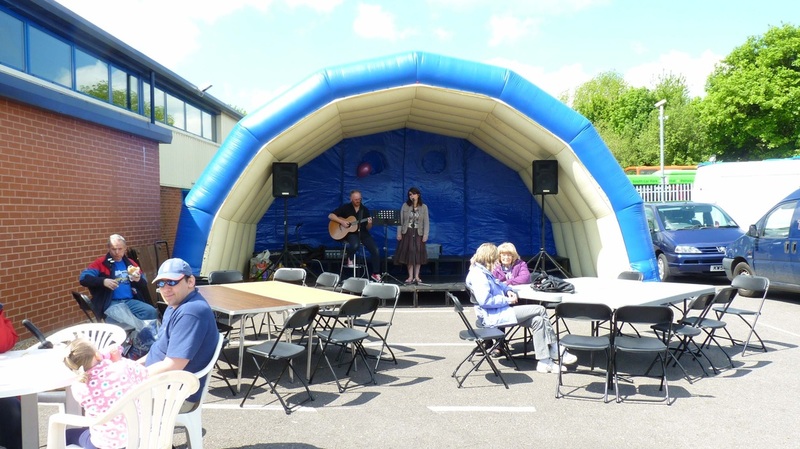 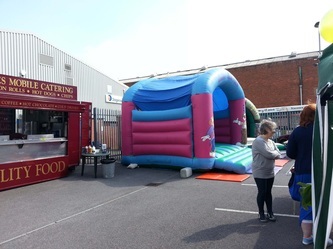 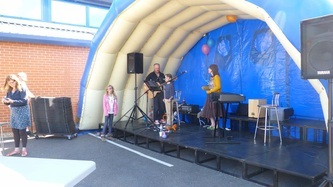 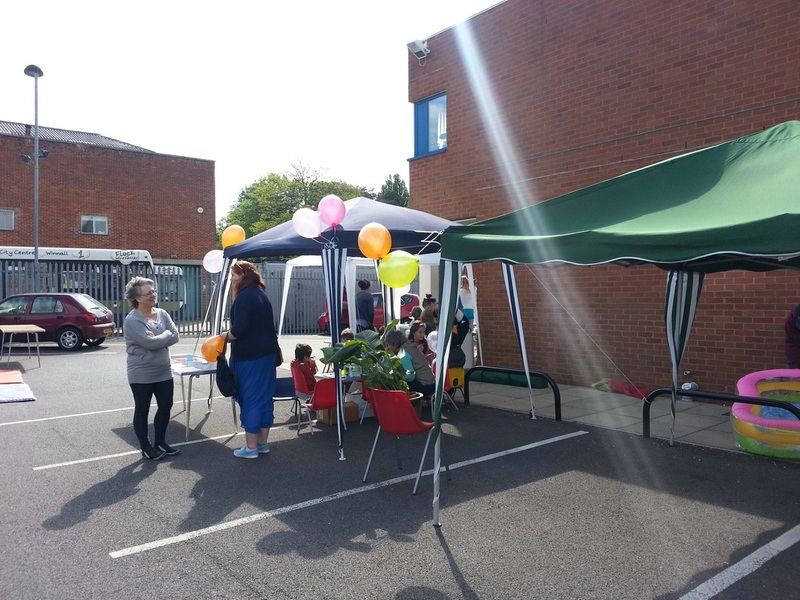 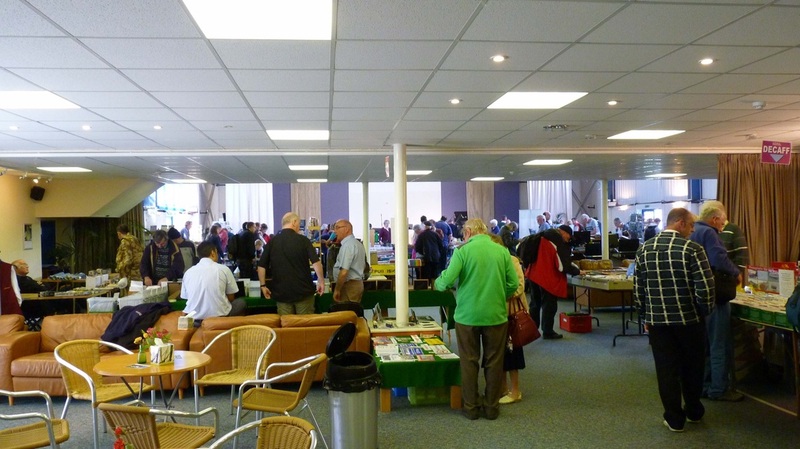 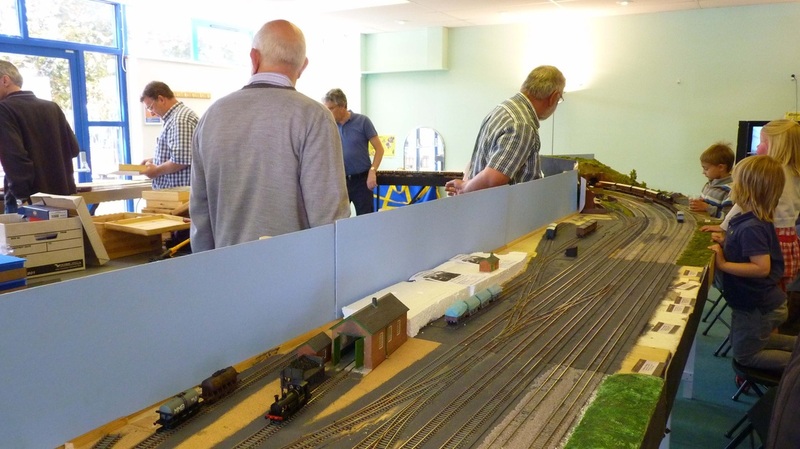 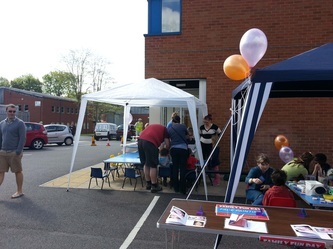 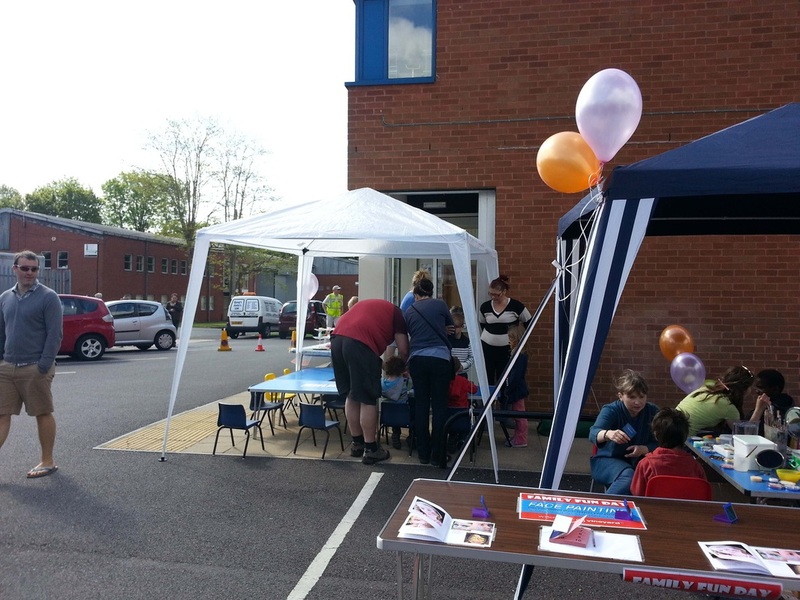 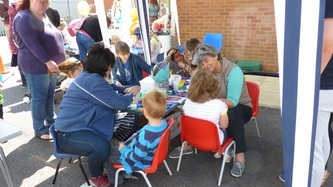 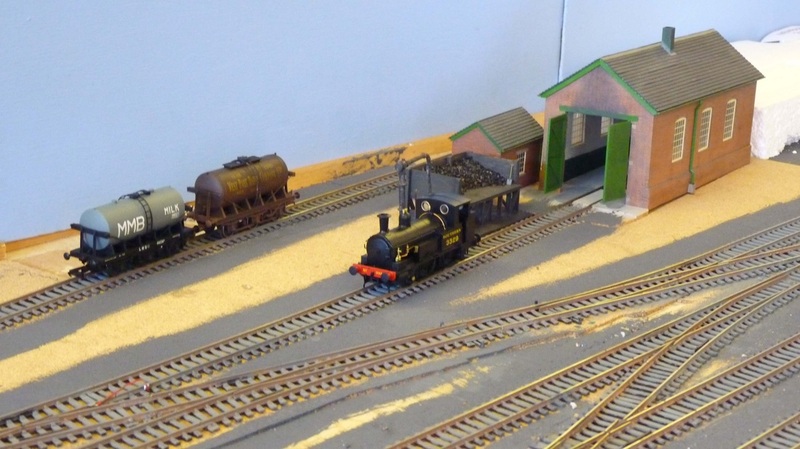 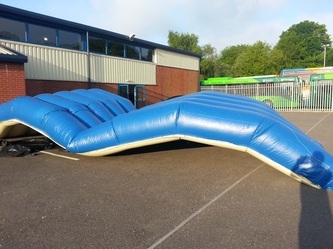 The indoor transport fair proved to be very successful with the additional entertainment for children specially laid on by the Vineyard Centre. 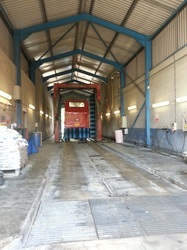 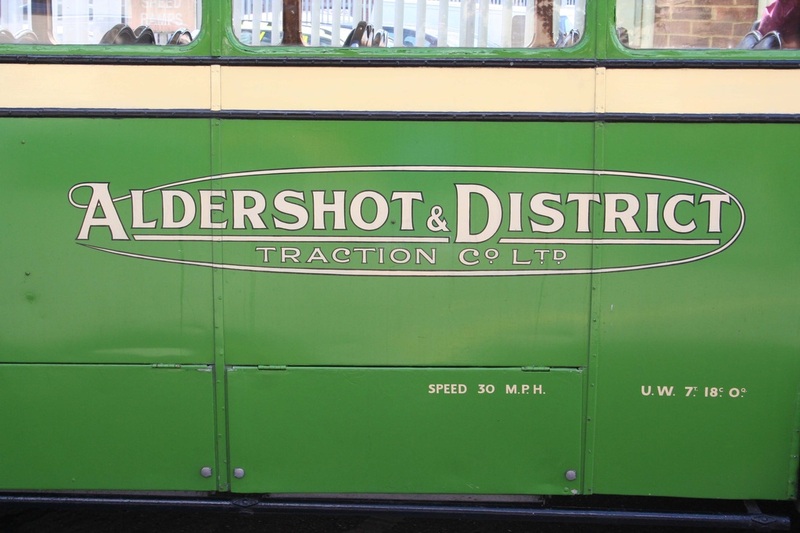 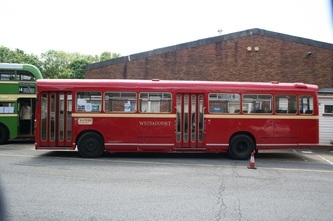 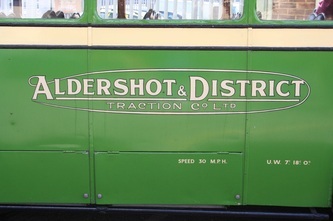 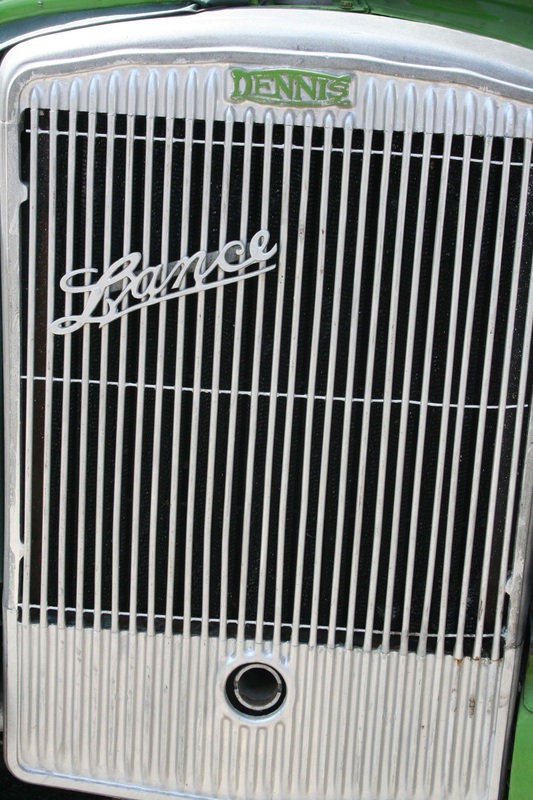 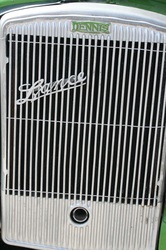 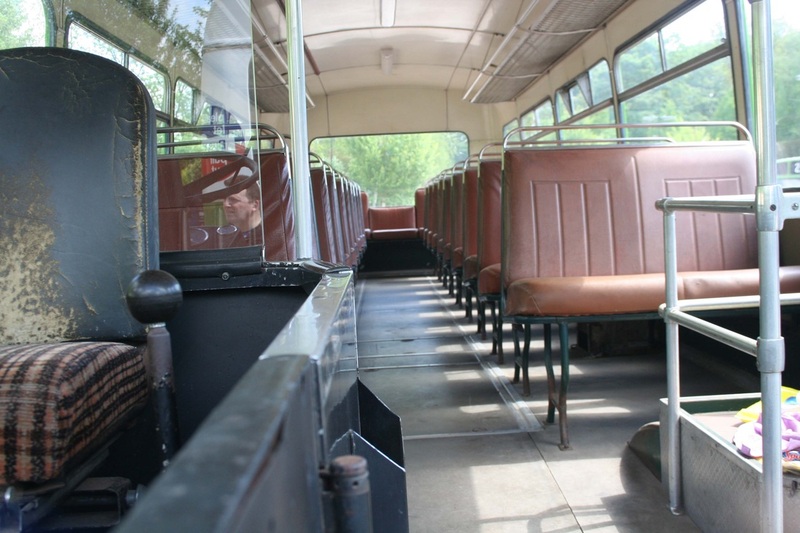 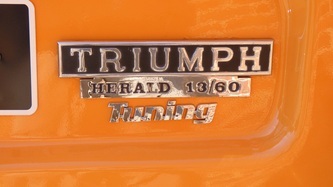 Stagecoach opened the doors of the depot and many heritage vehicles were on display. 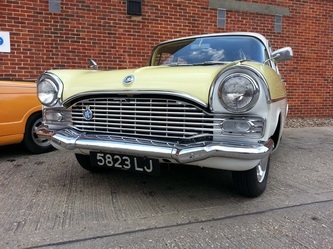 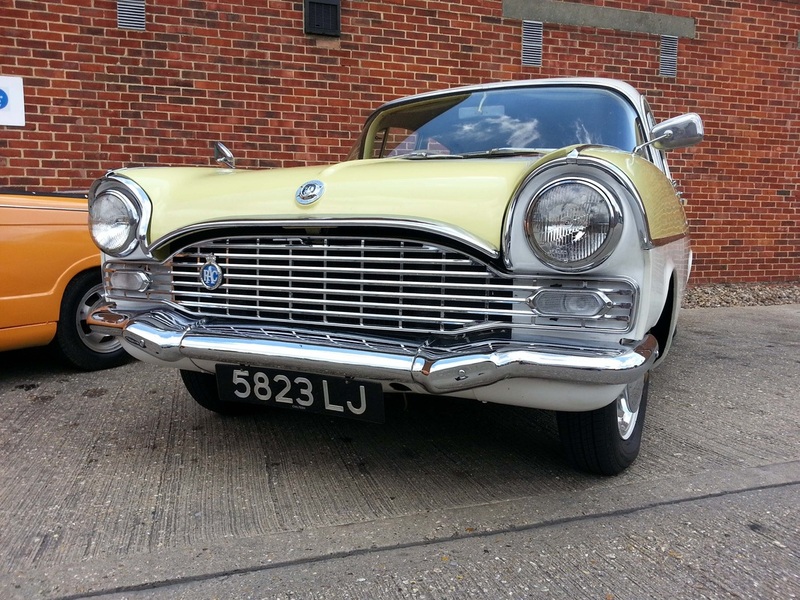 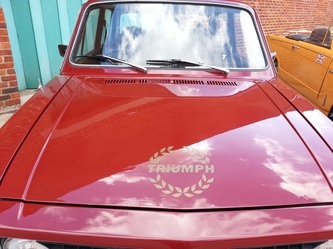 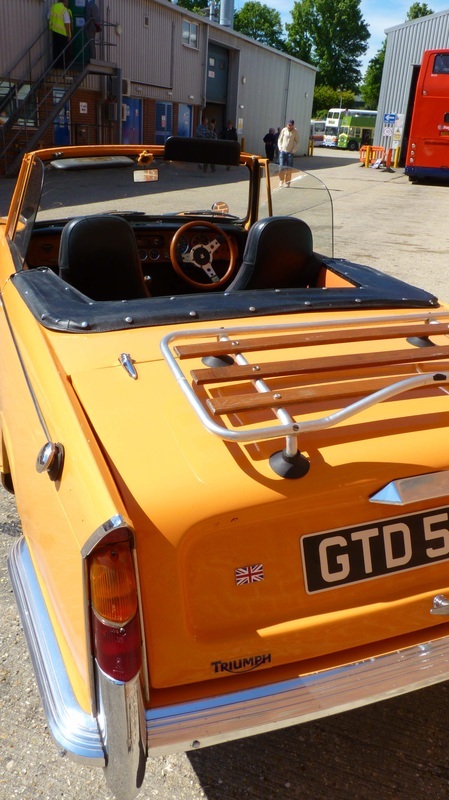 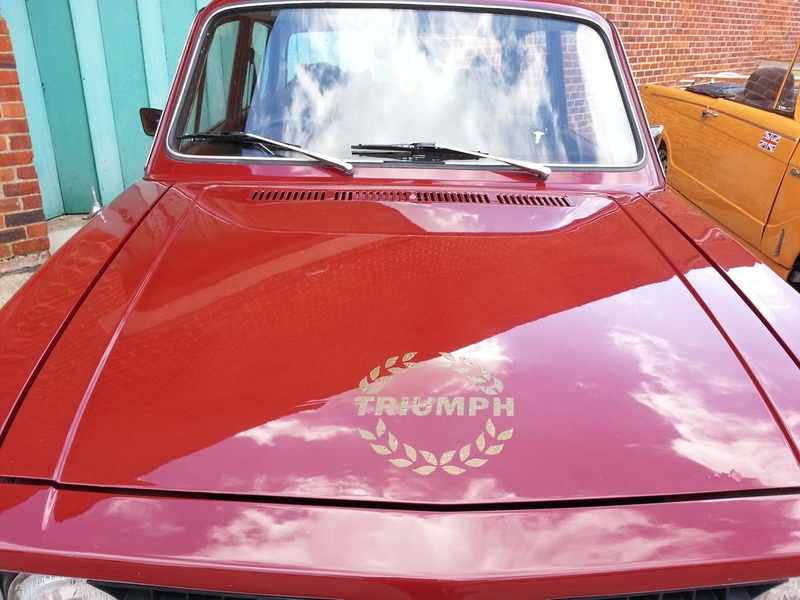 Many requests have been made for a repeat next year - we will certainly consider it!!! 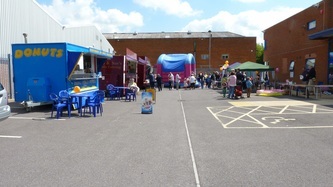 To all who helped and supported the event, we thank you. - Decorate your own cake.... and much, much more. 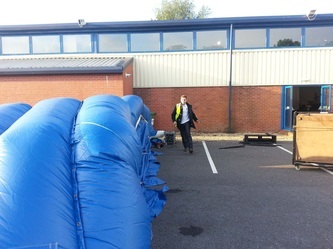 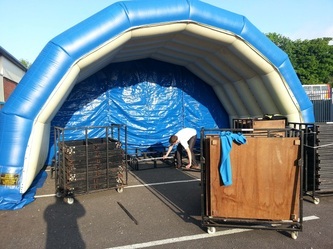 Our thanks go to Mike as a lot of his time and effort was another input into making the event successful. 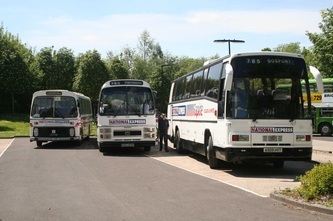 Our thanks go to our friends who have supplied us with lovely pictures. 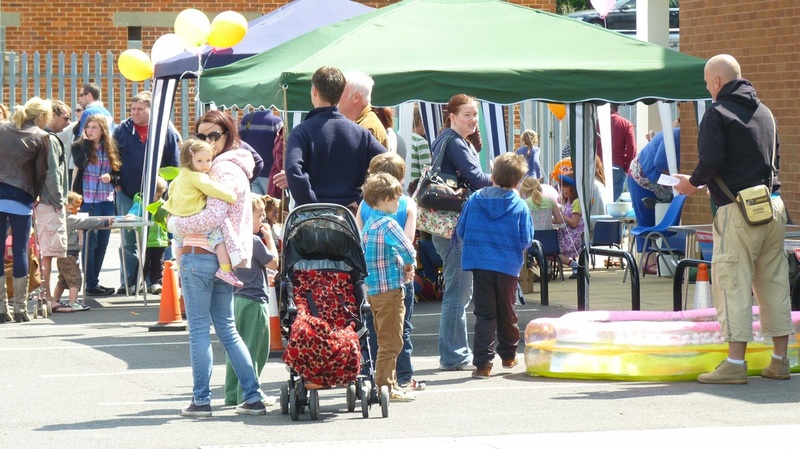 From the link below Daily Echo have reviewed our day.